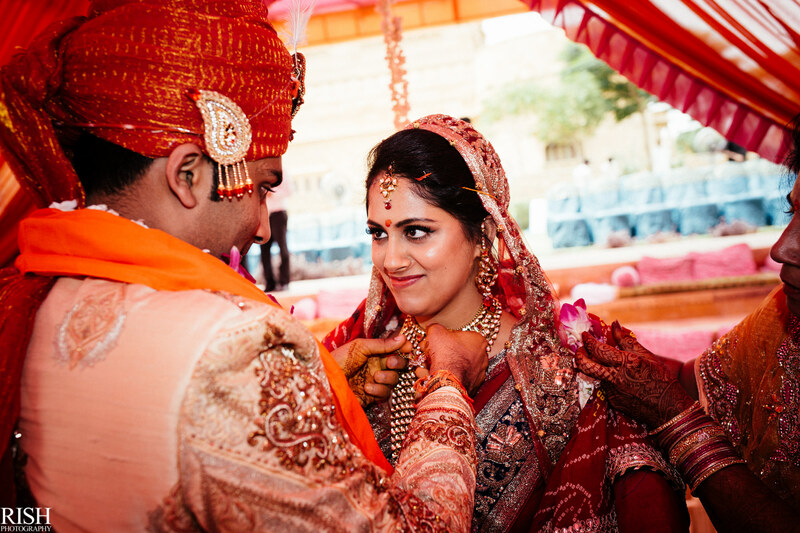 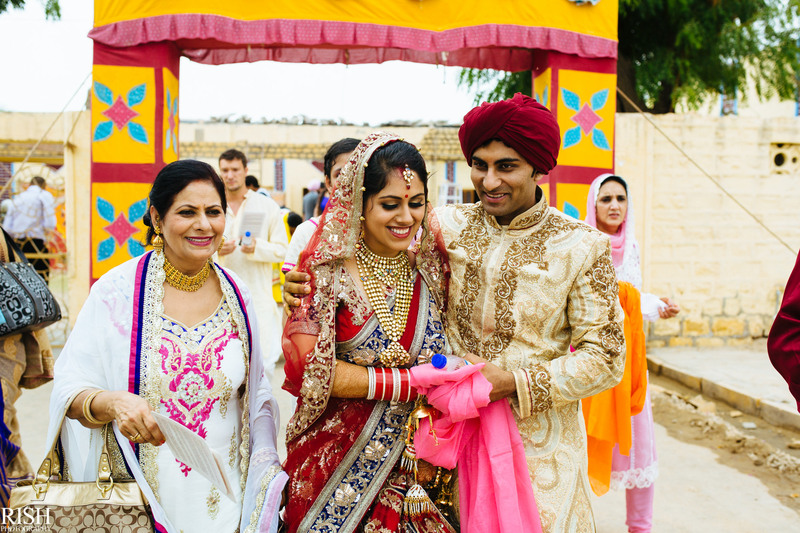 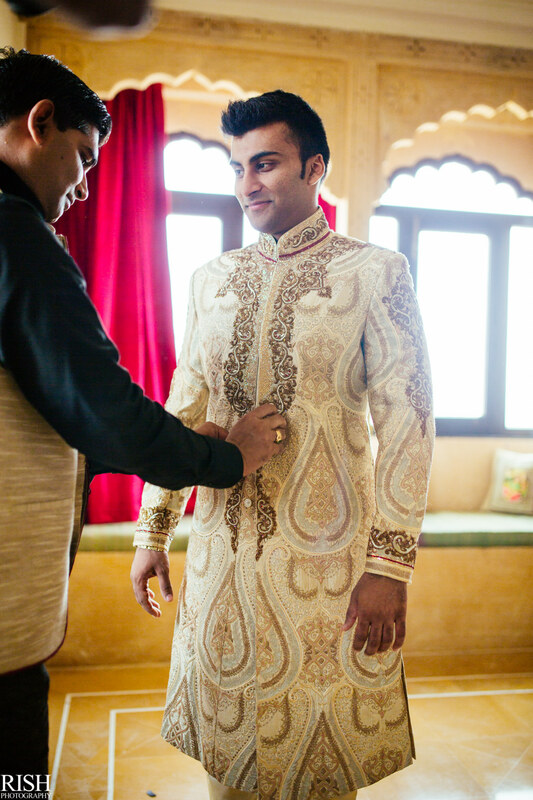 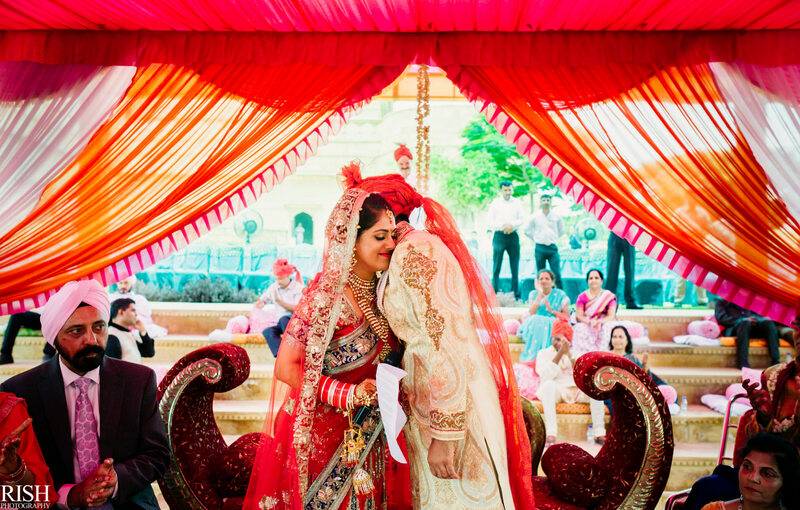 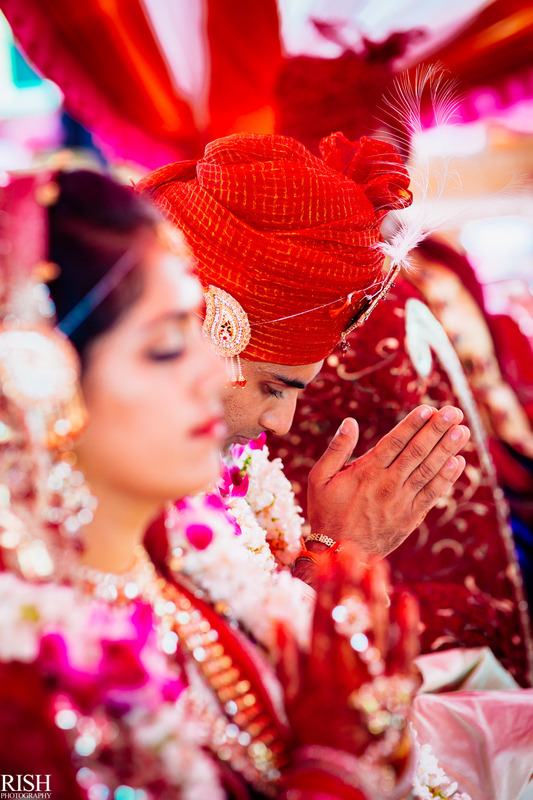 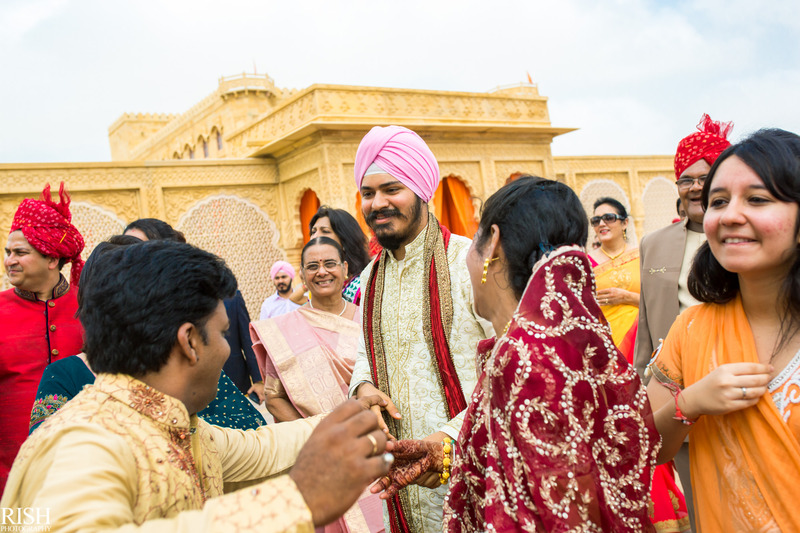 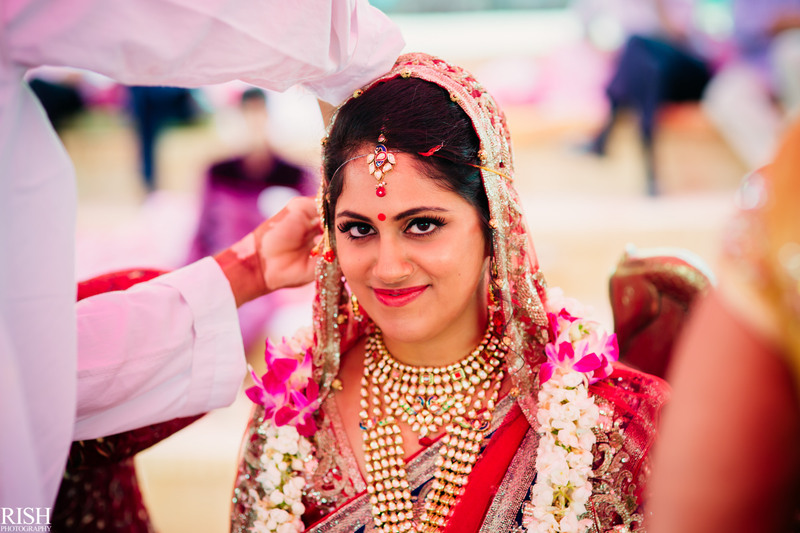 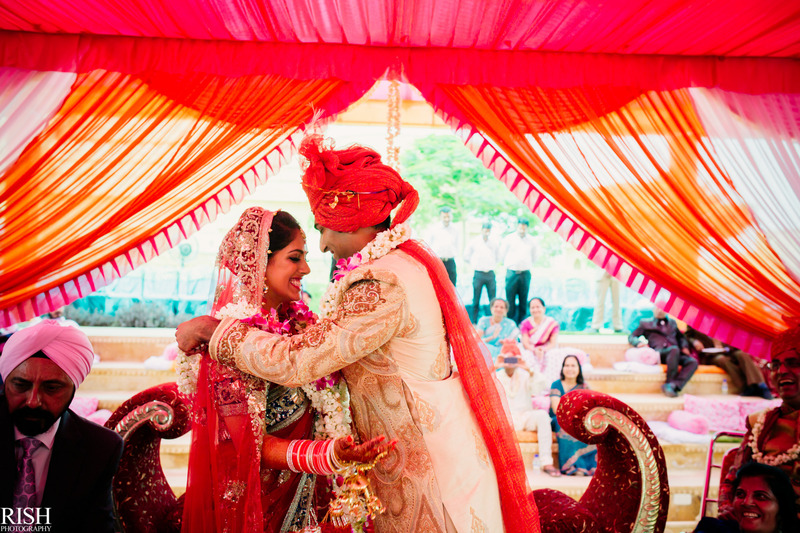 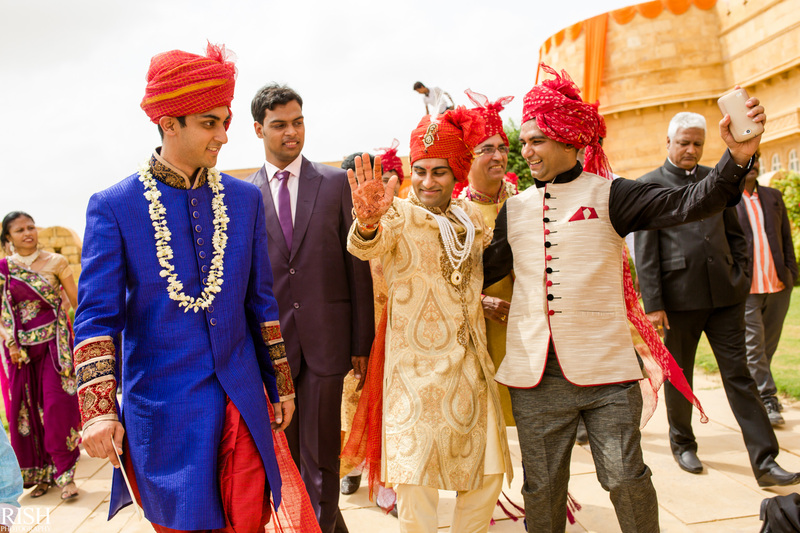 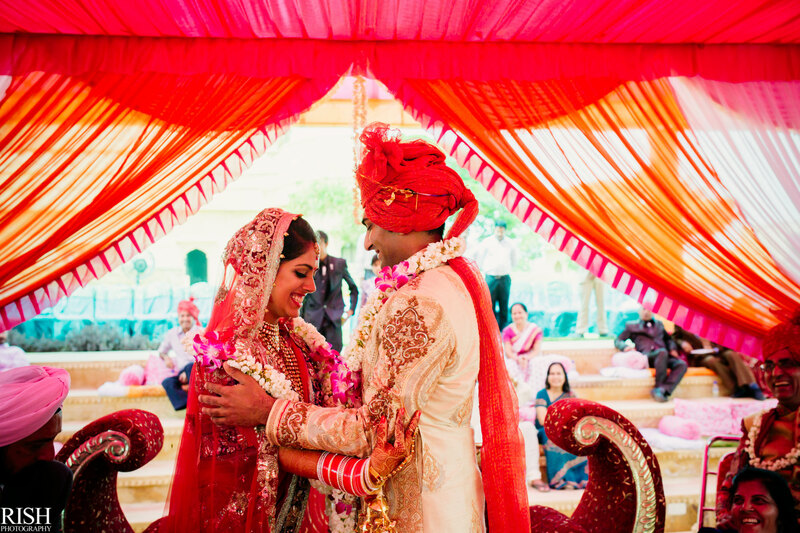 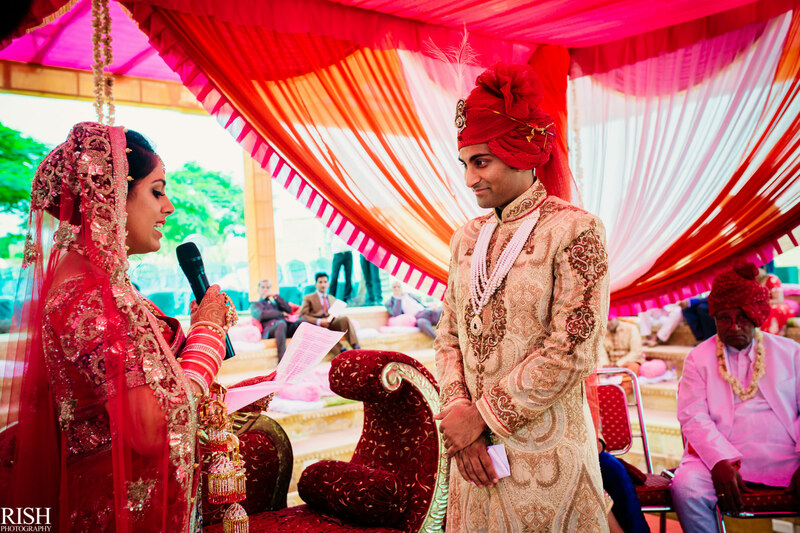 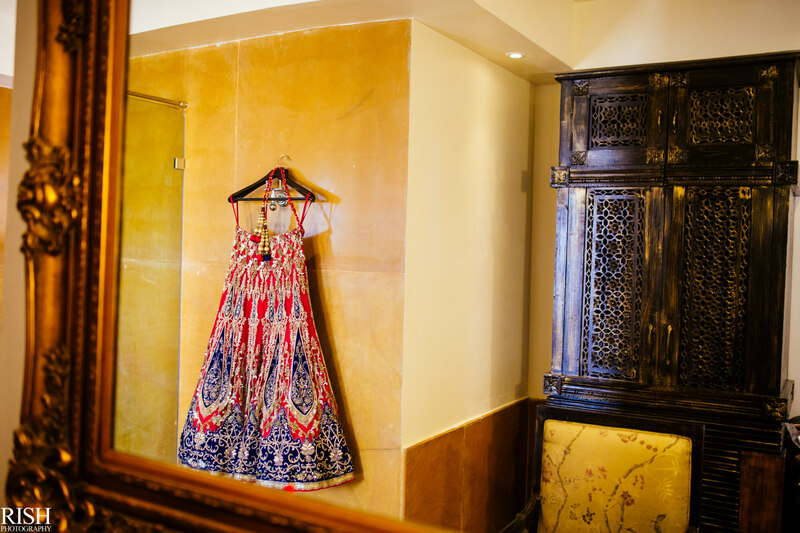 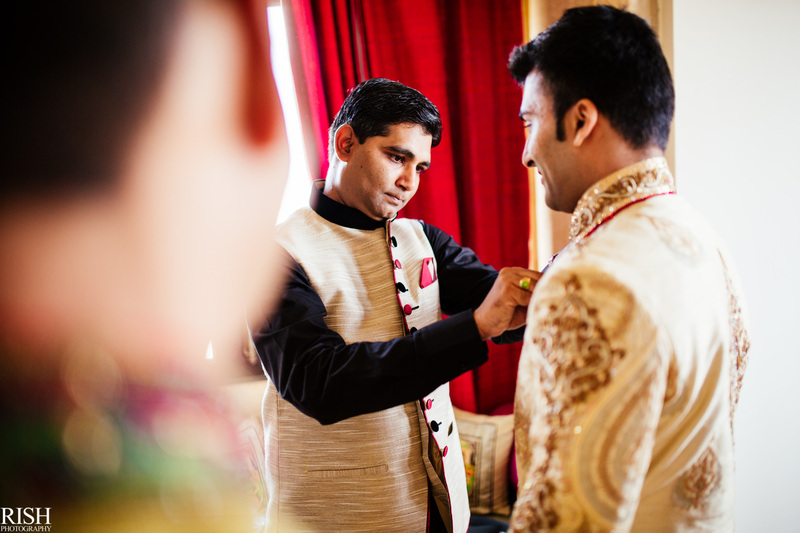 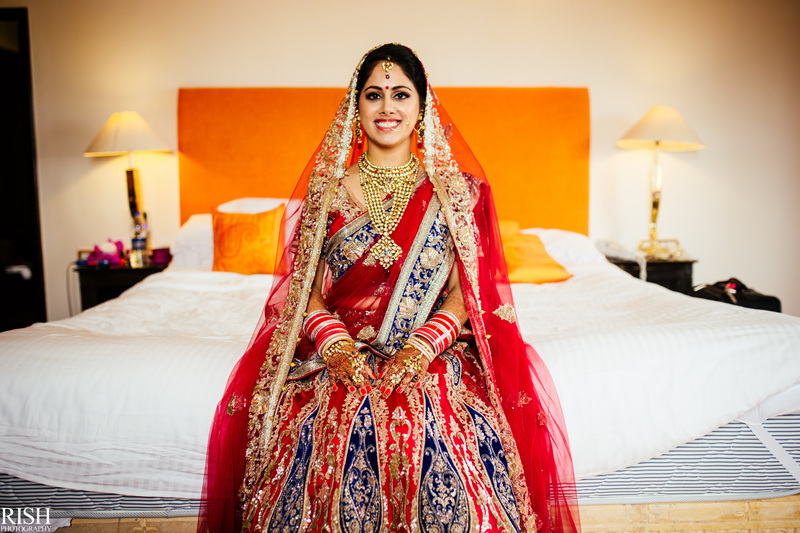 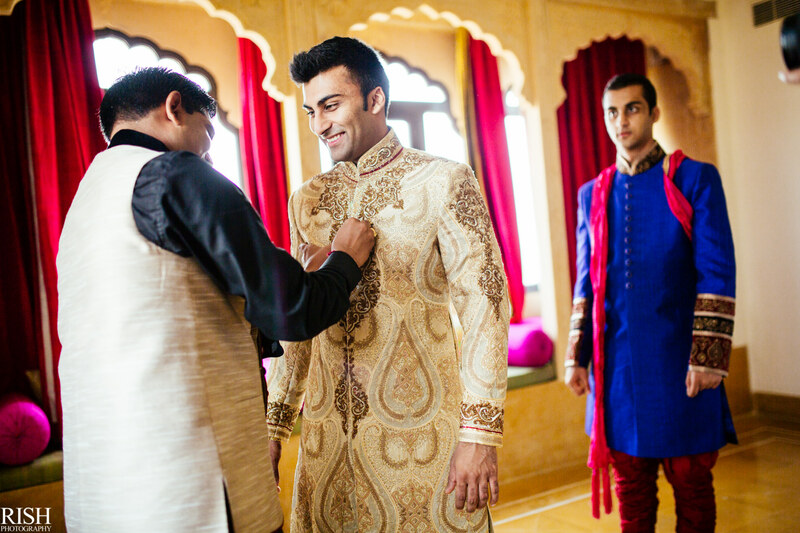 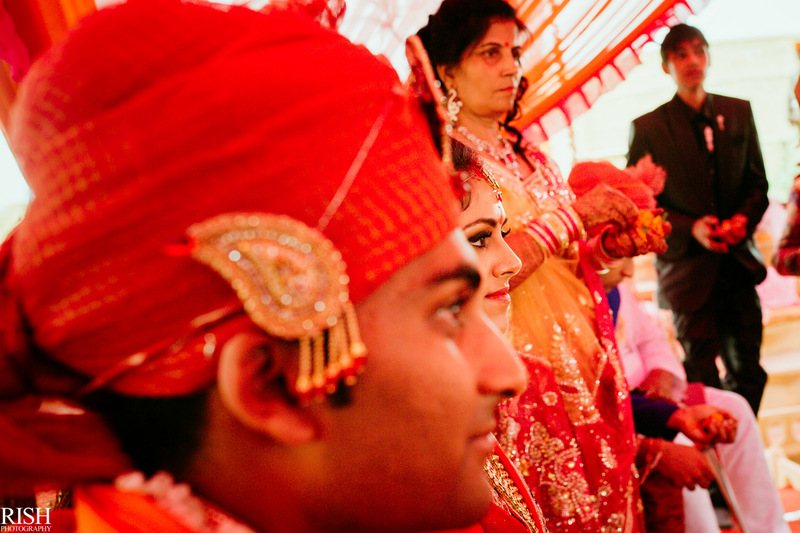 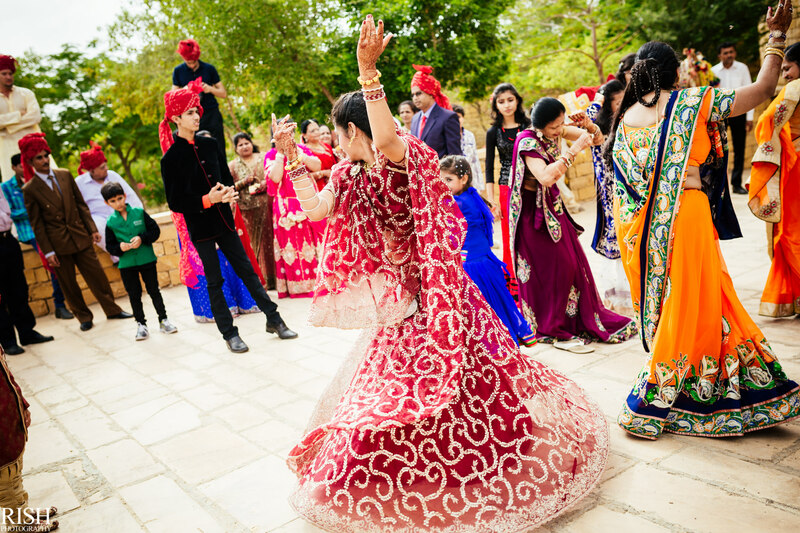 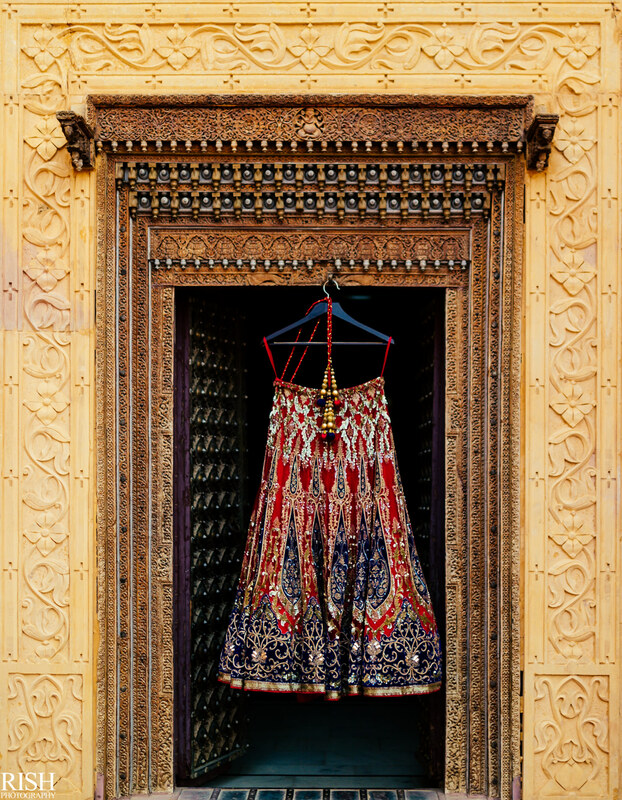 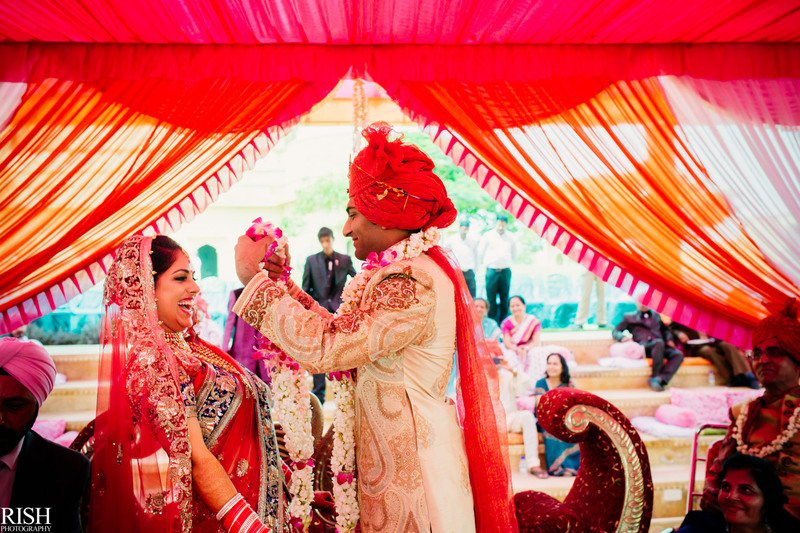 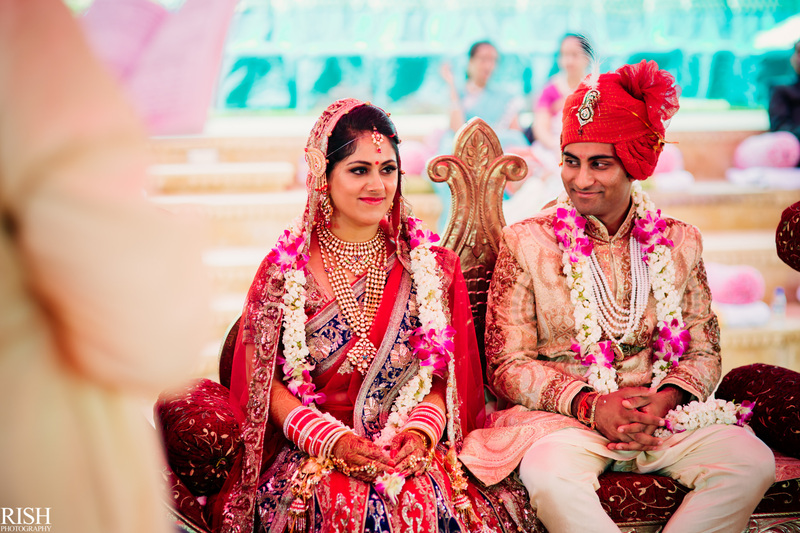 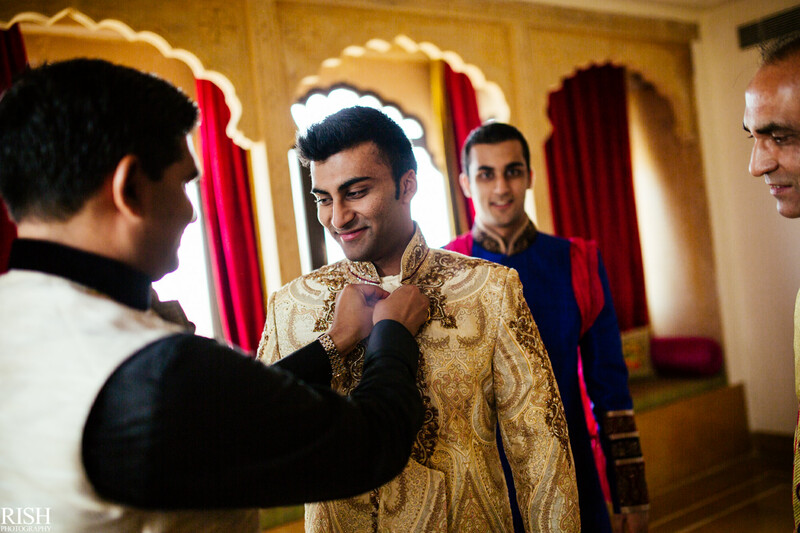 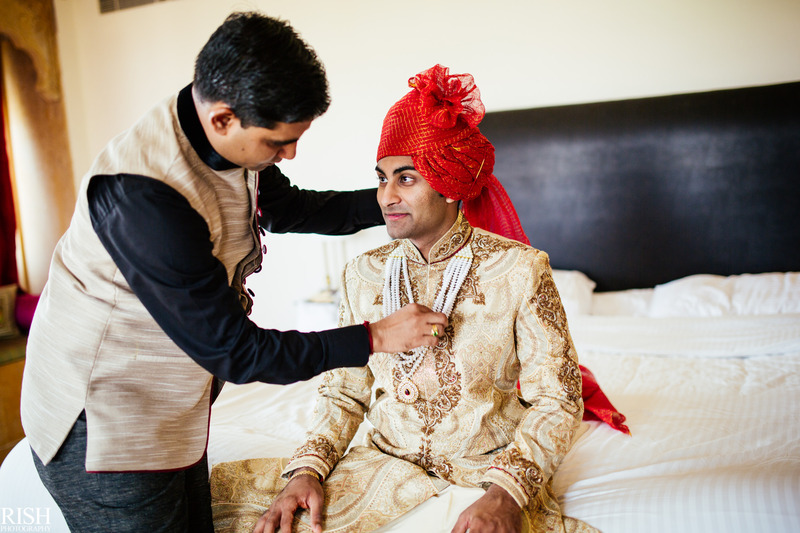 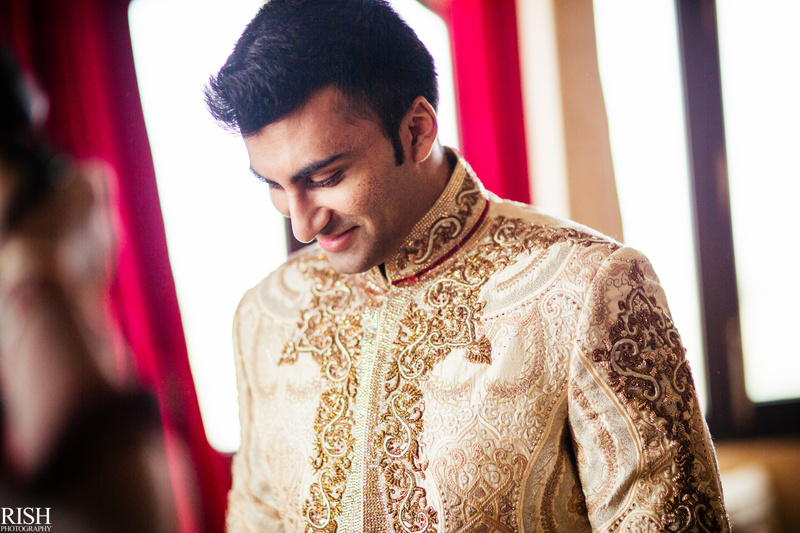 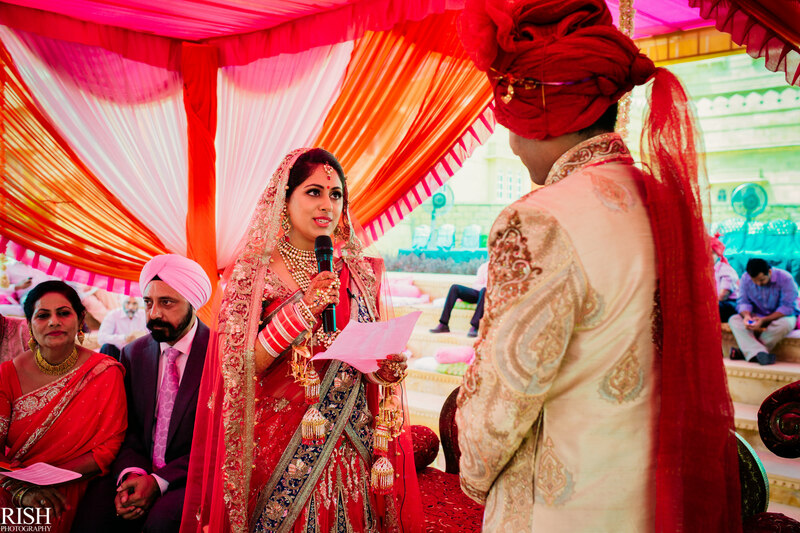 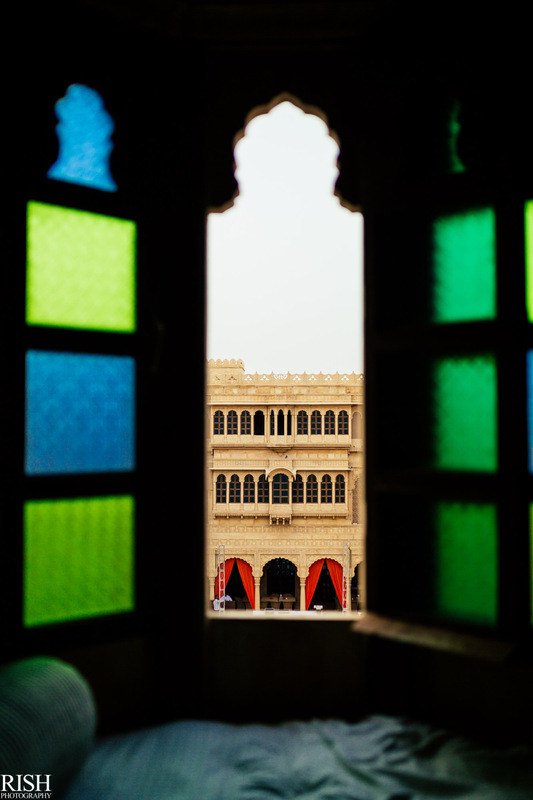 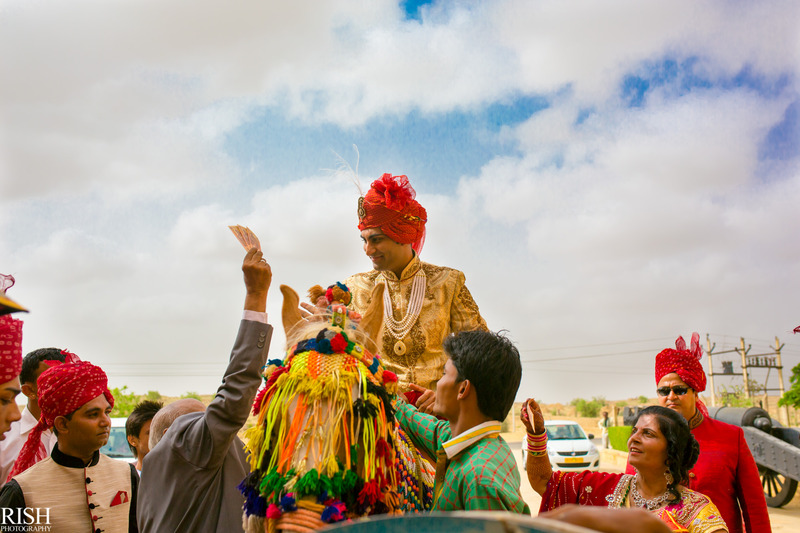 Welcome to the second day of Jasmin & Mayank’s destination wedding in Jaisalmer. 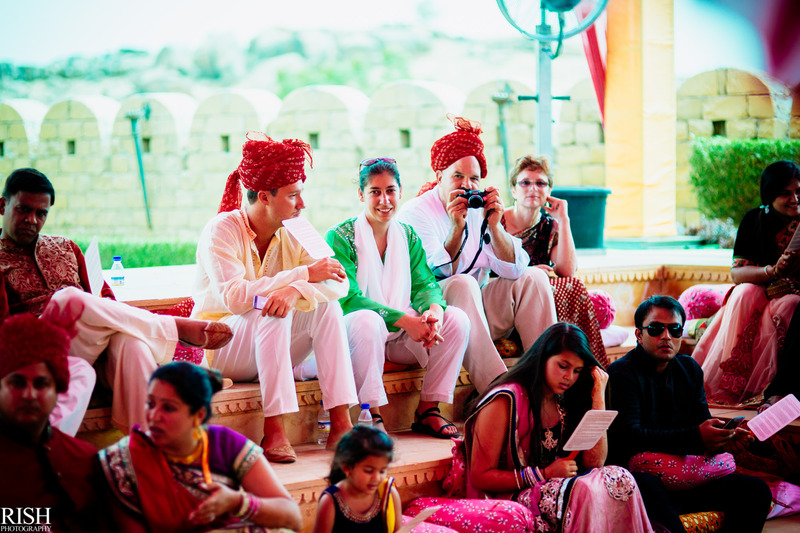 We got over with the fun filled Day 1 and the next day came sooner than I expected. 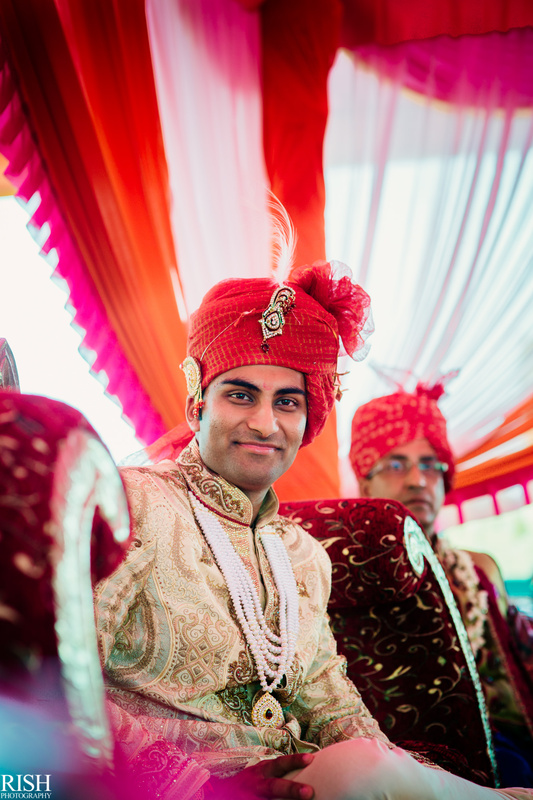 An early morning call woke me up and I was off to photograph the first event of the morning. 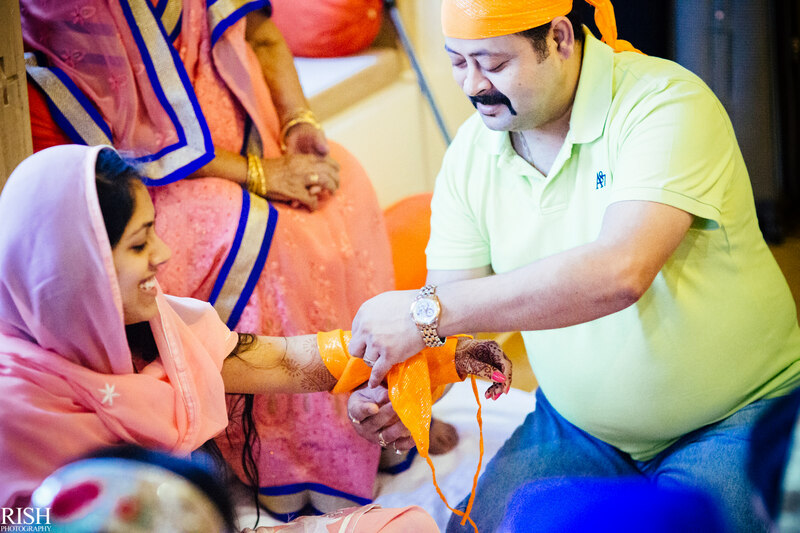 The morning started with the chuda ceremony of Jasmin. 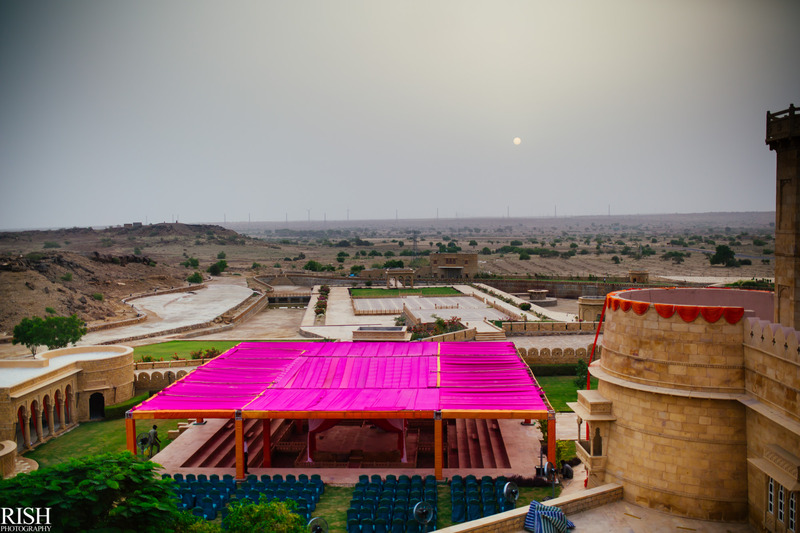 The sun had just risen and the wedding venue was being set up. 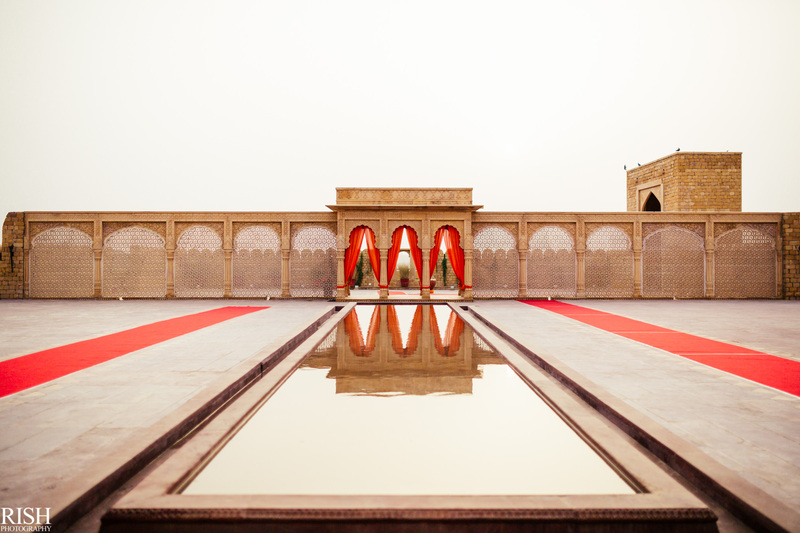 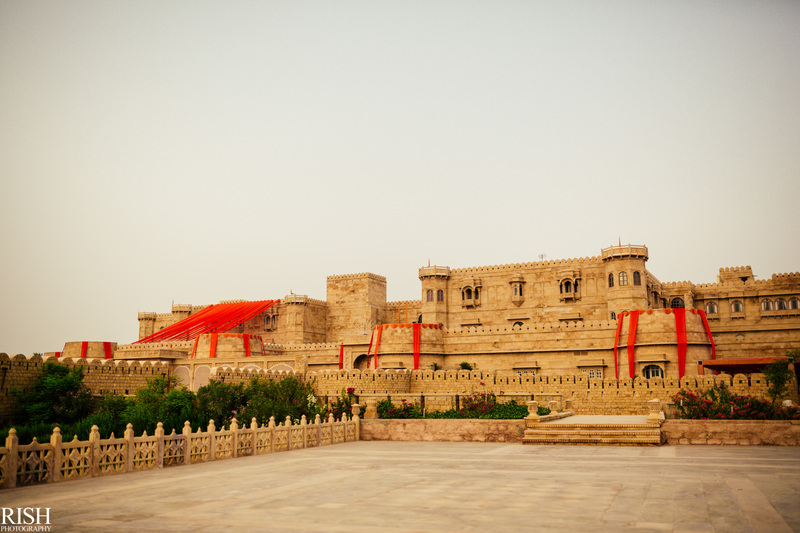 While I had the time to get some cool lehenga shots with the backdrop of this colossal palace! 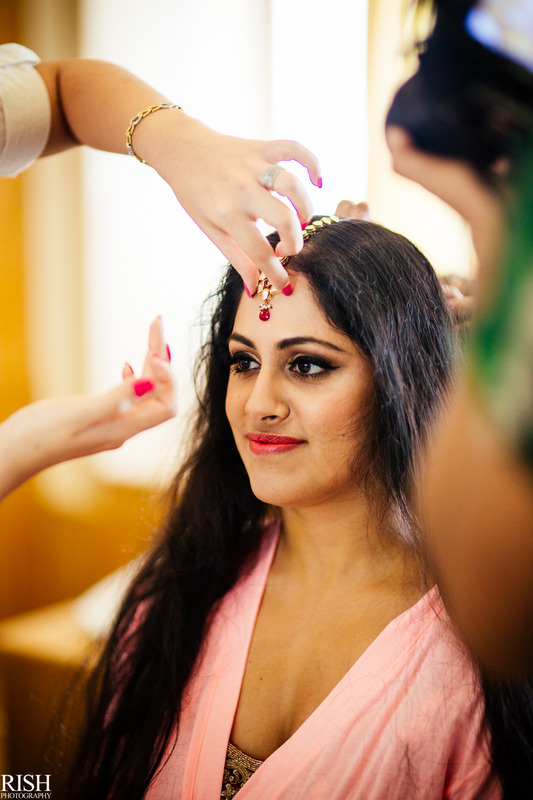 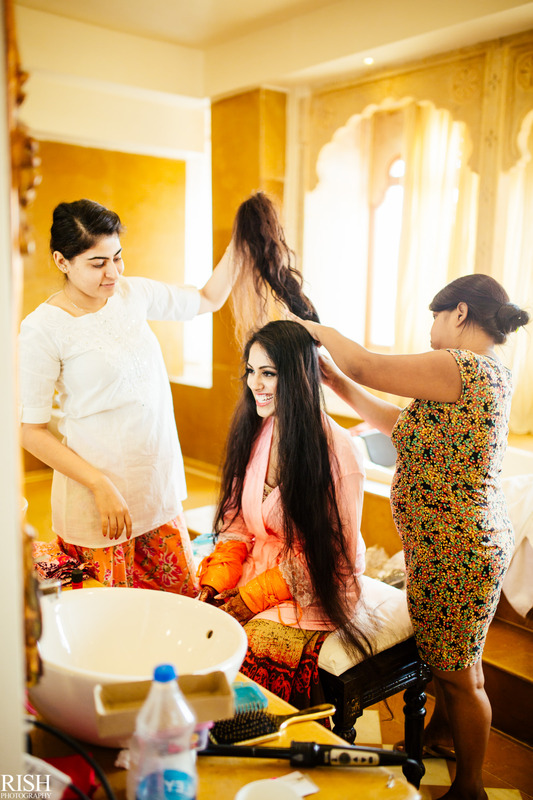 And it was time for the bride to get ready! 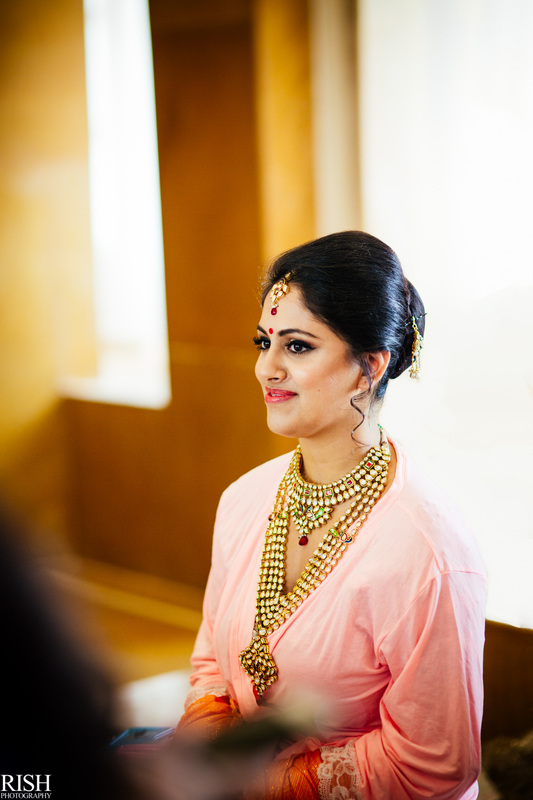 And there she was, the show-stopper! 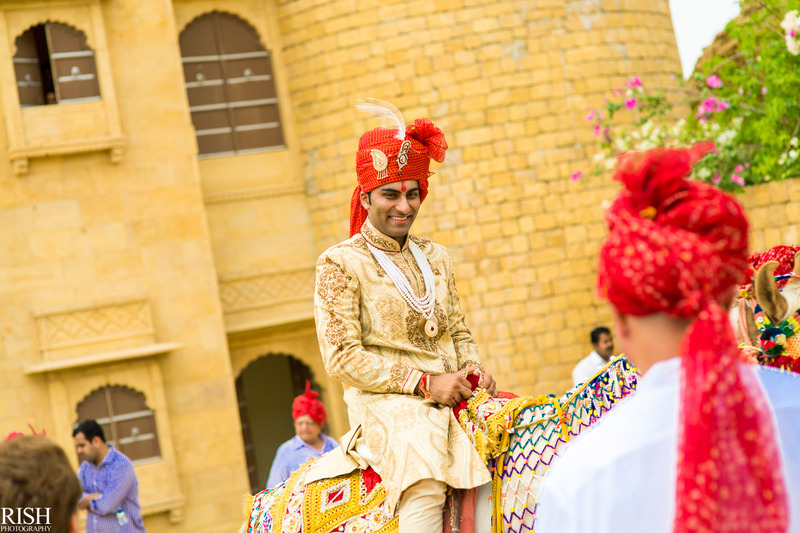 The palace backdrop gave every picture the feel of a painting! 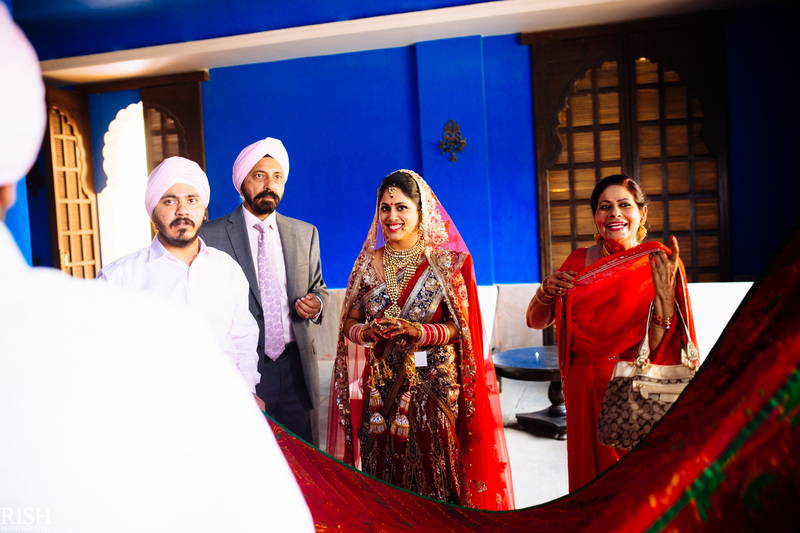 Alongside this beautiful venue in the middle of a pool, Jasmine was just waiting to be escorted. 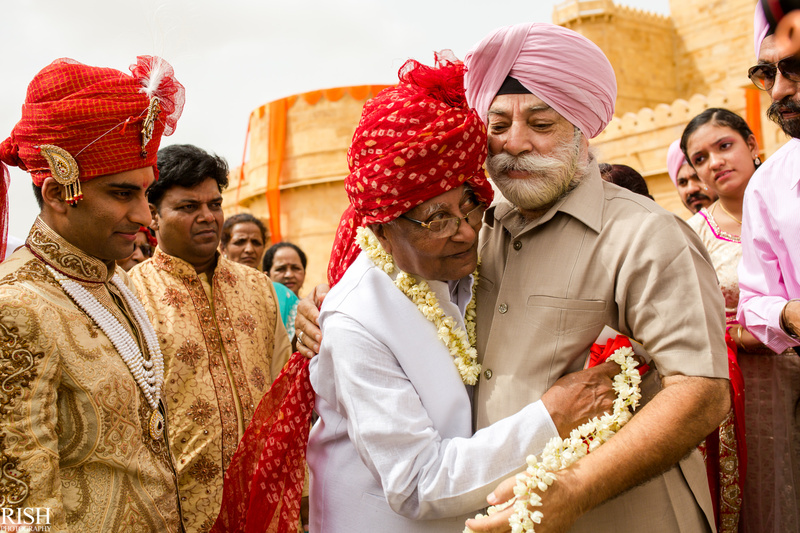 And they both exchanged the wedding vows. 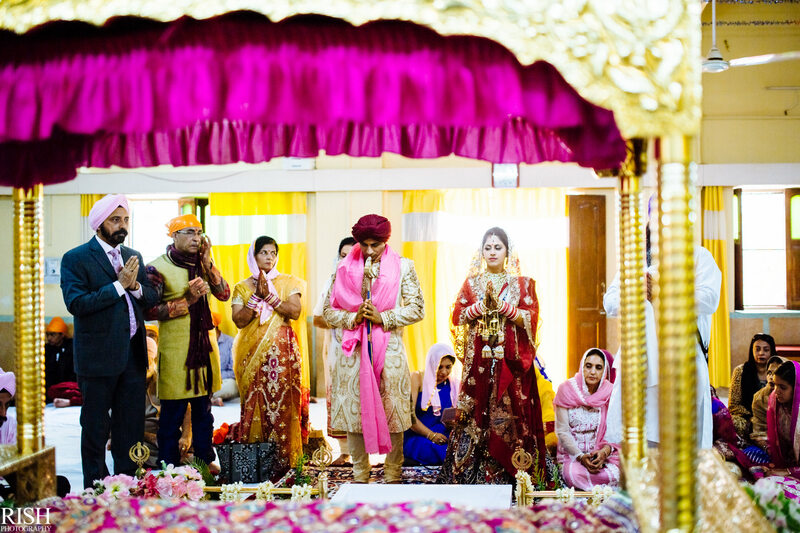 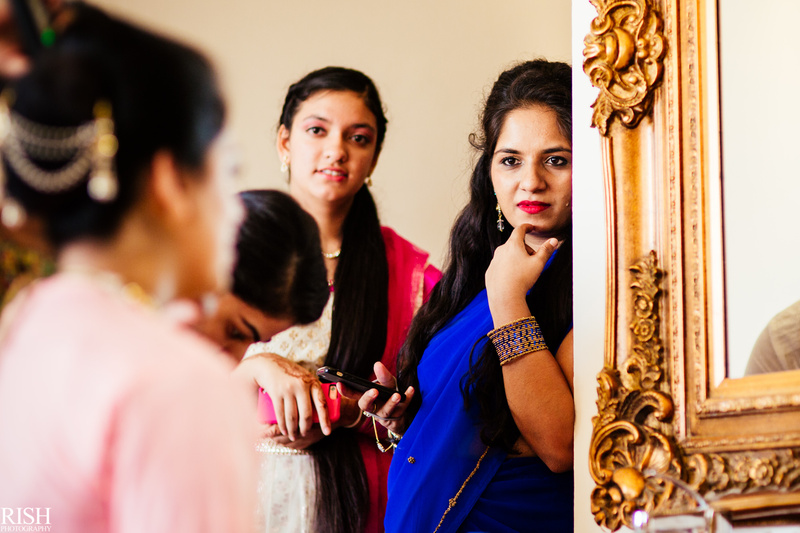 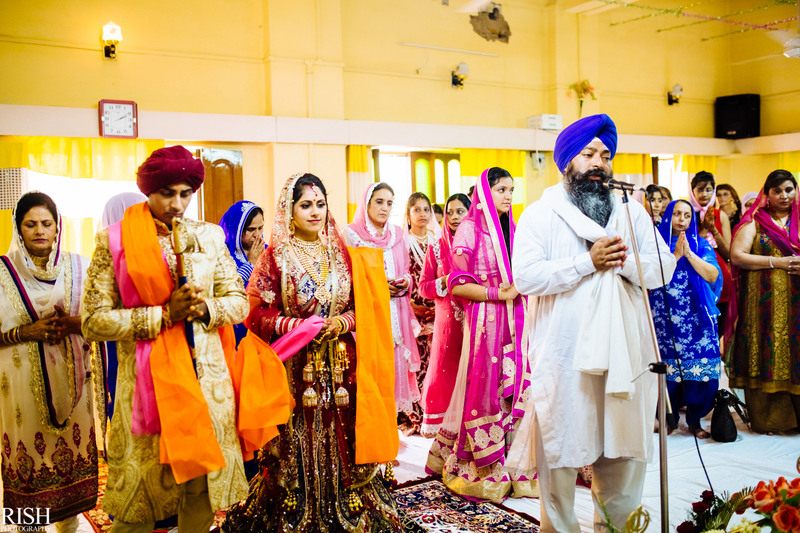 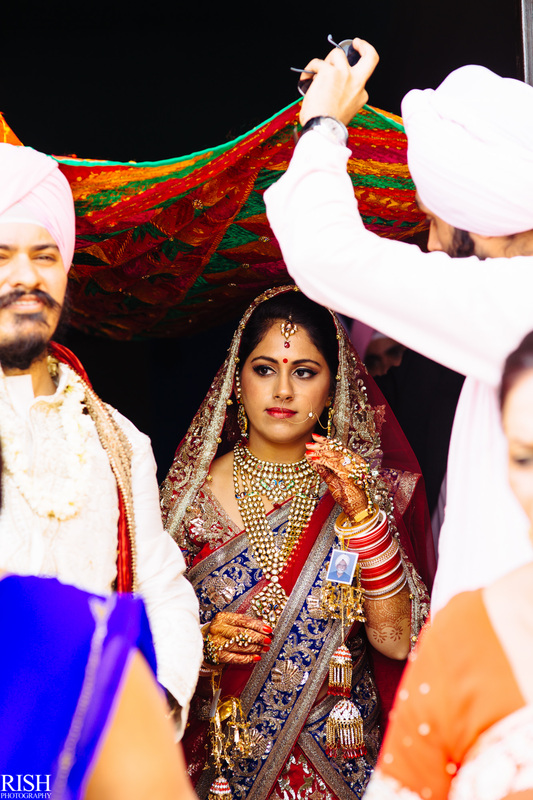 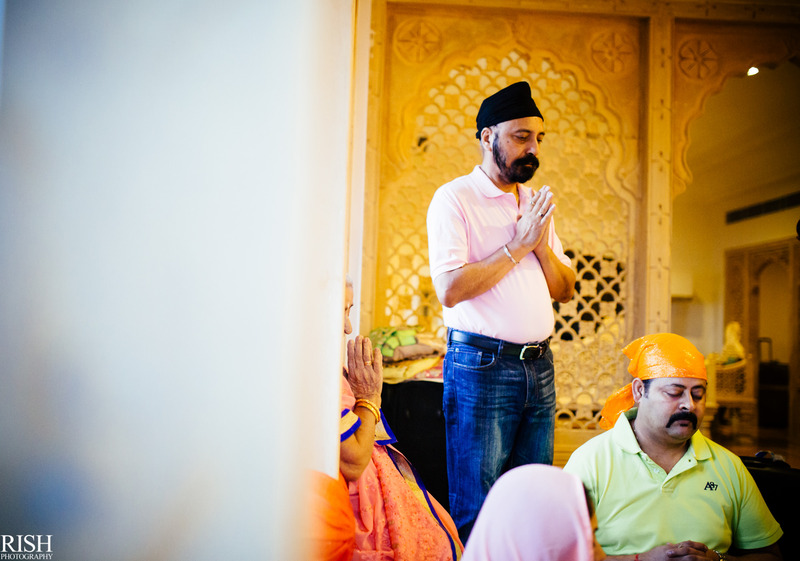 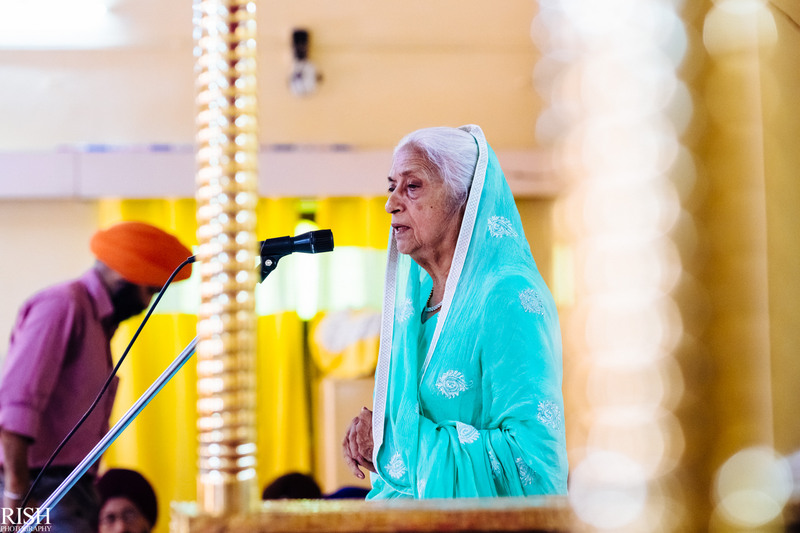 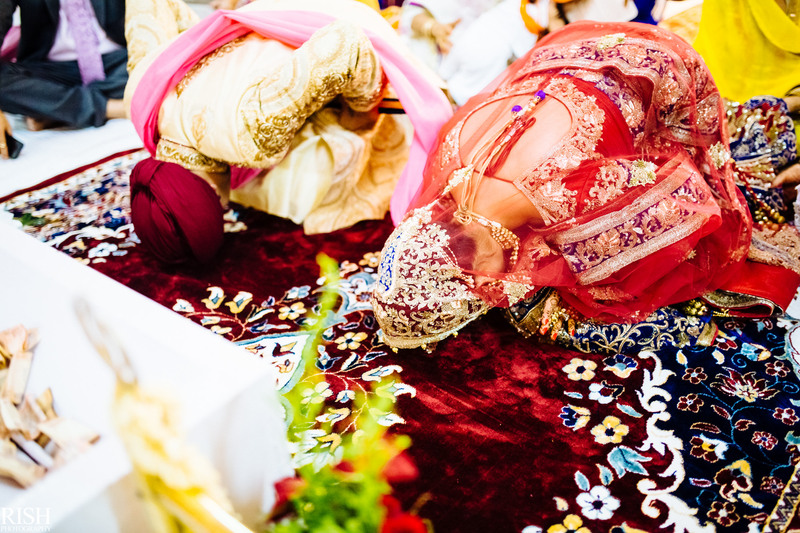 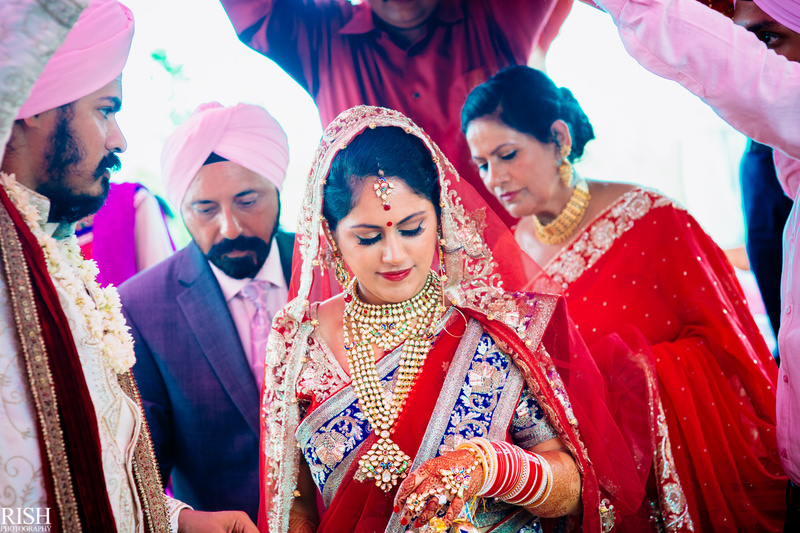 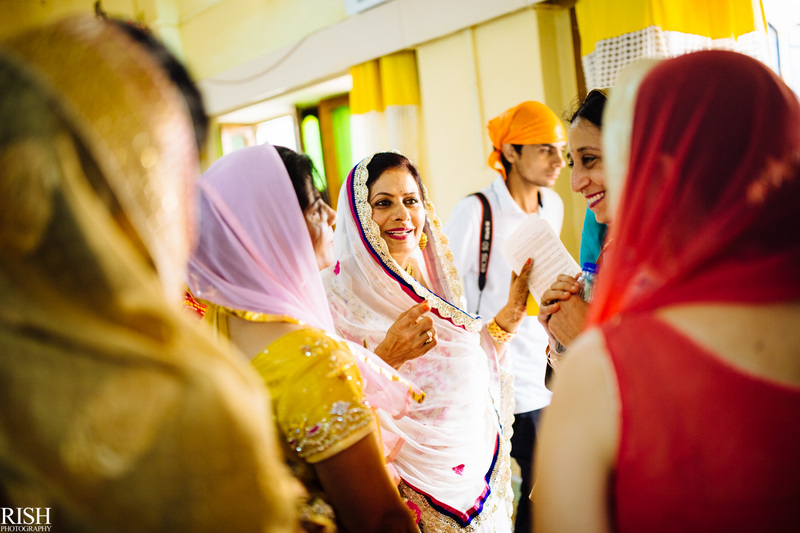 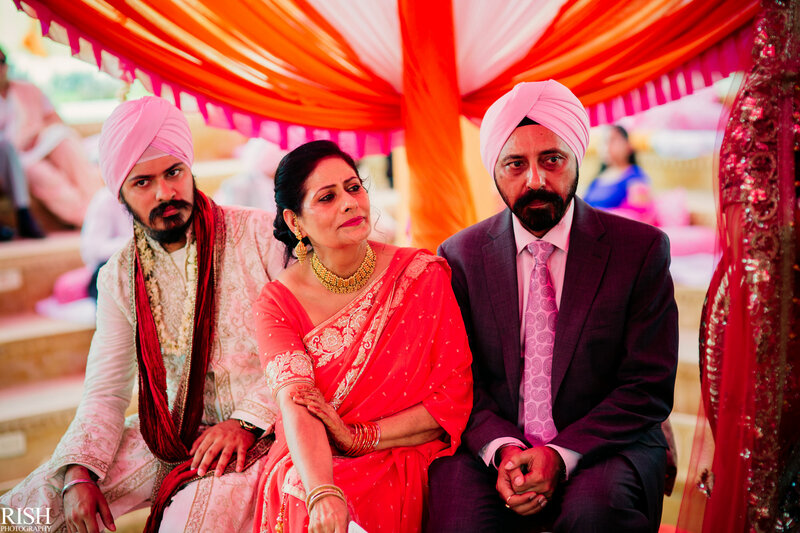 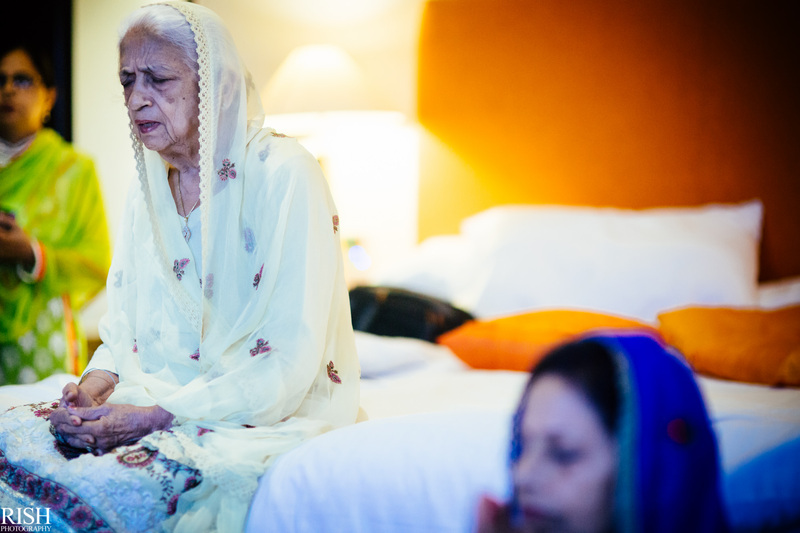 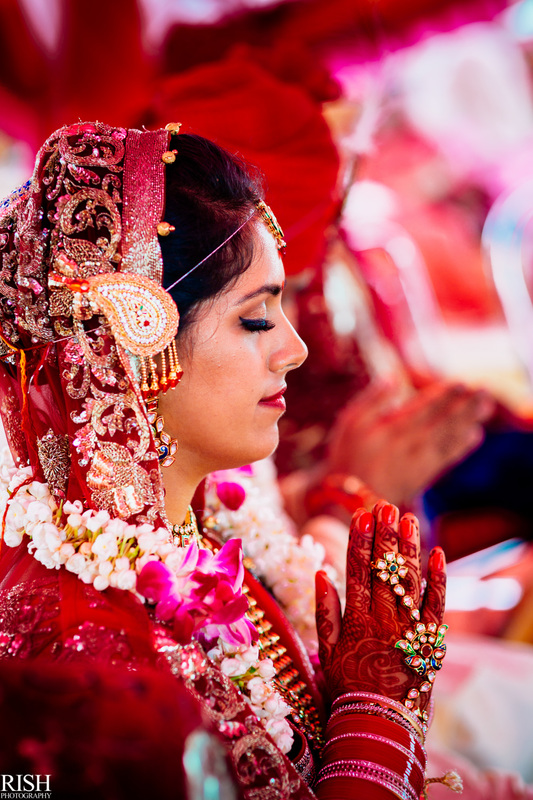 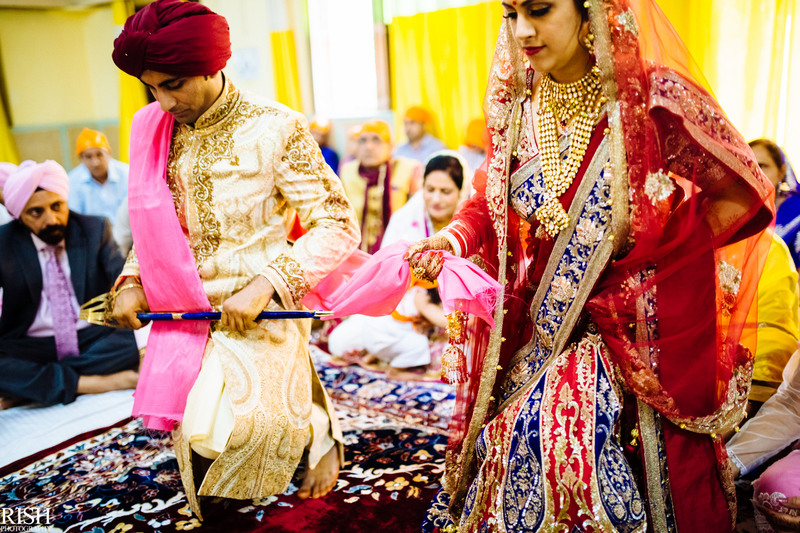 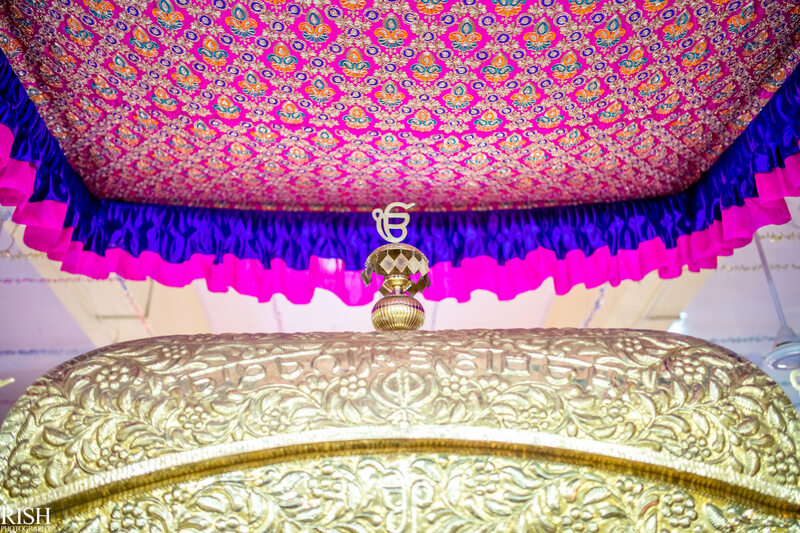 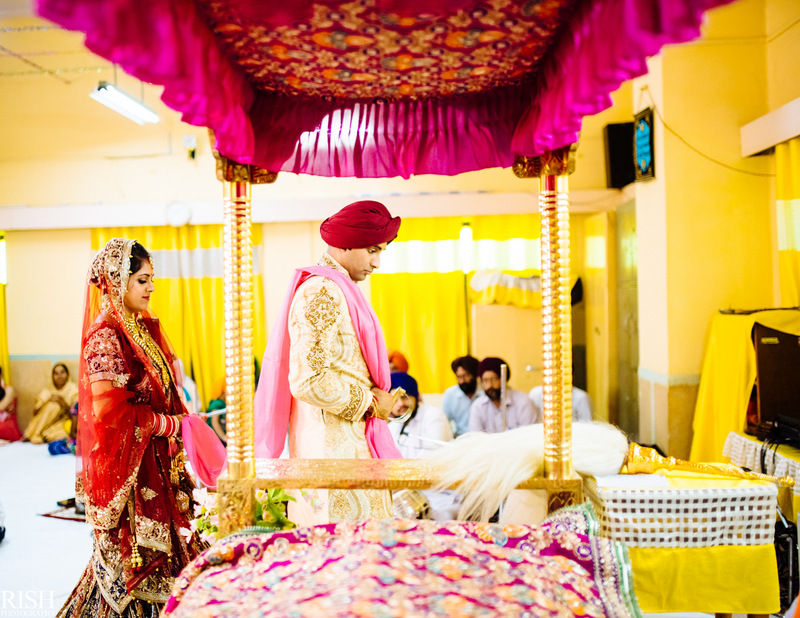 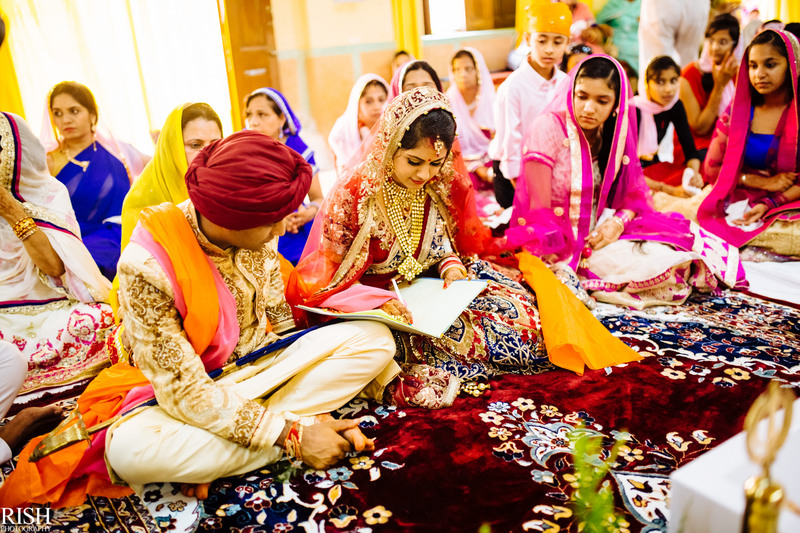 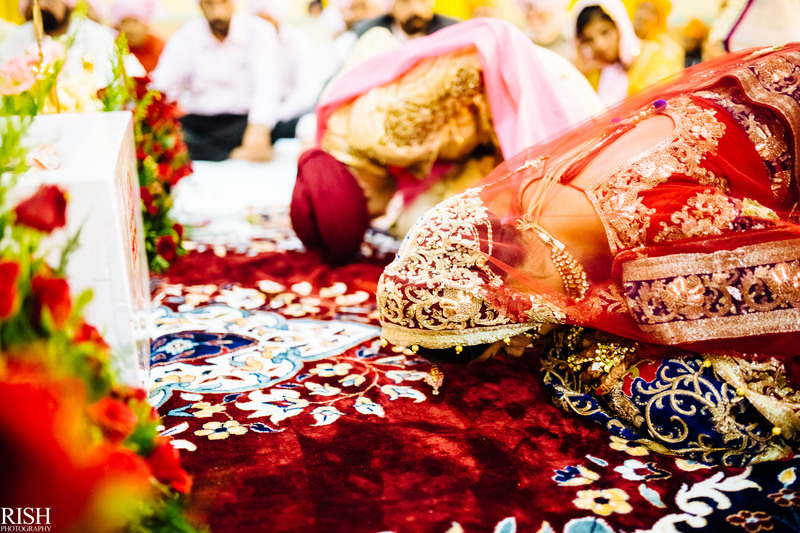 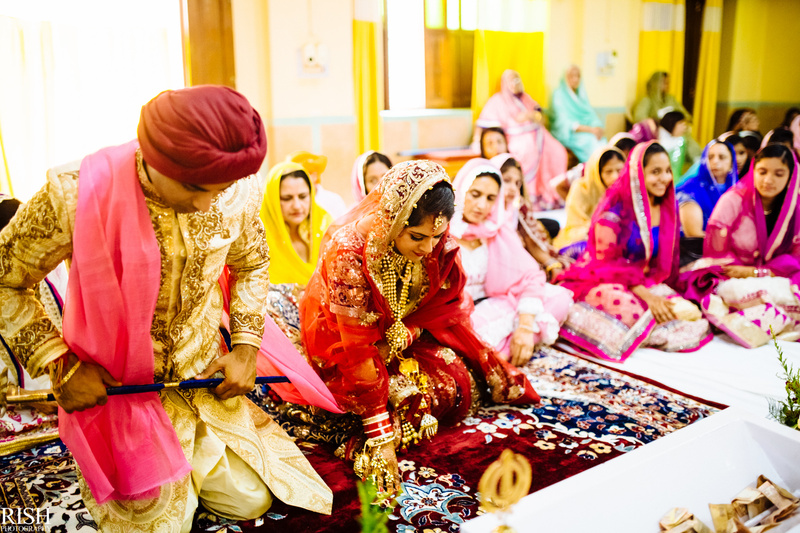 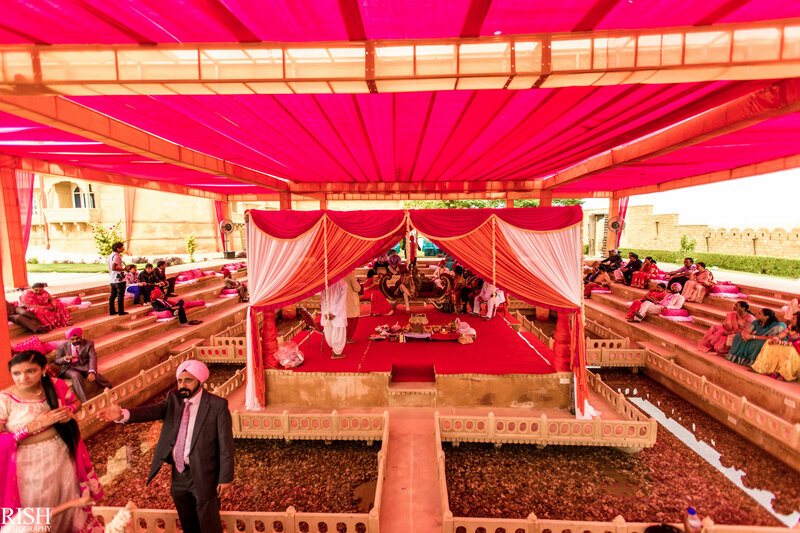 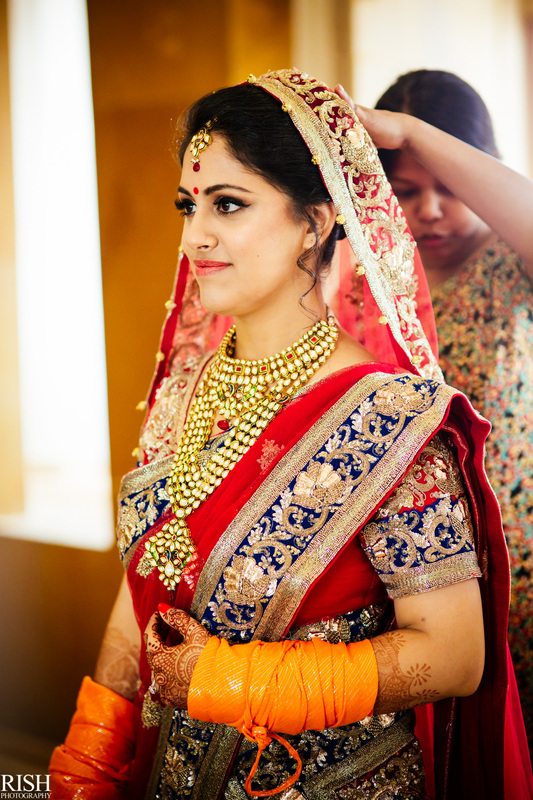 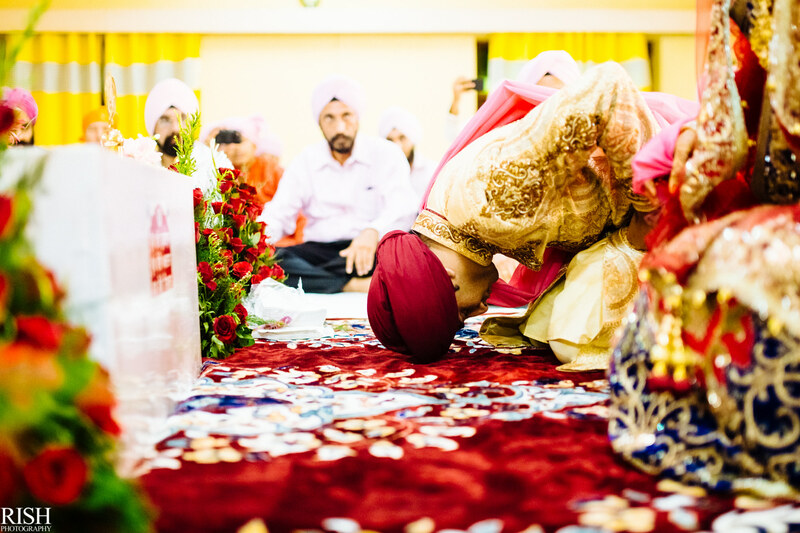 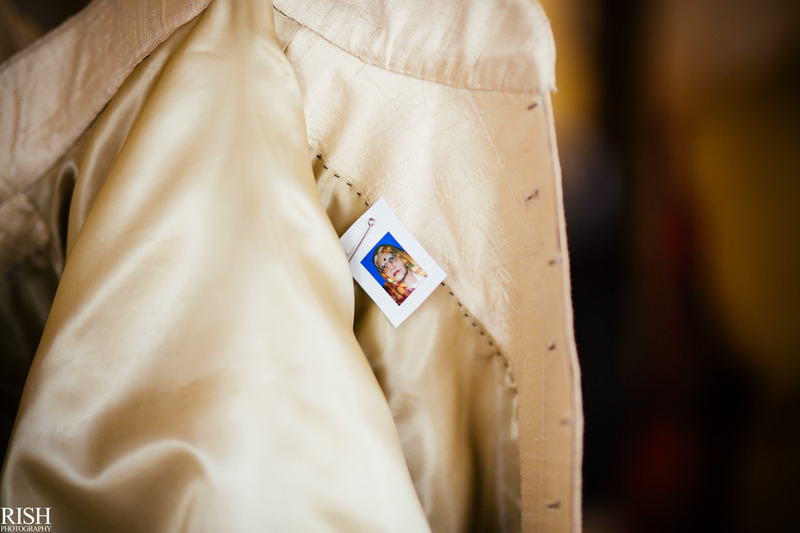 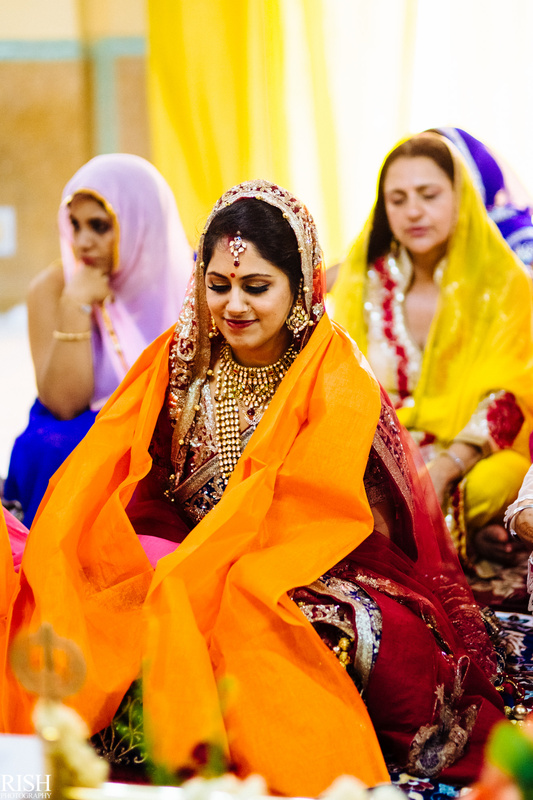 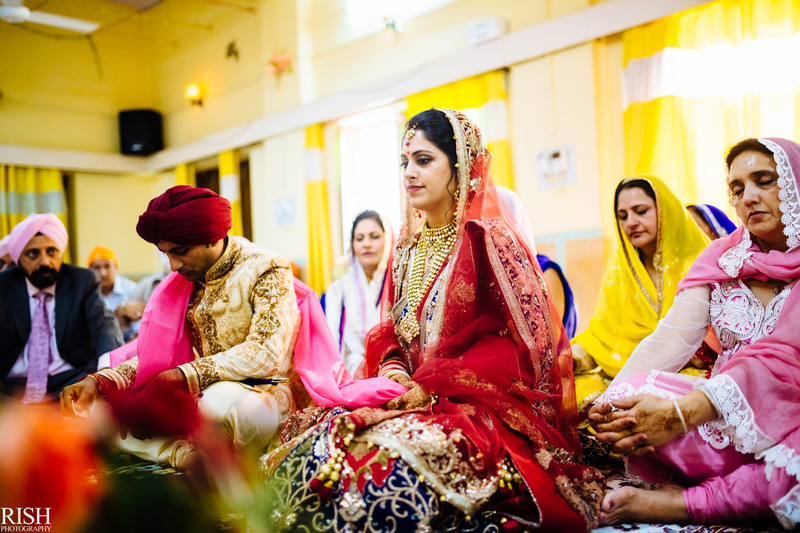 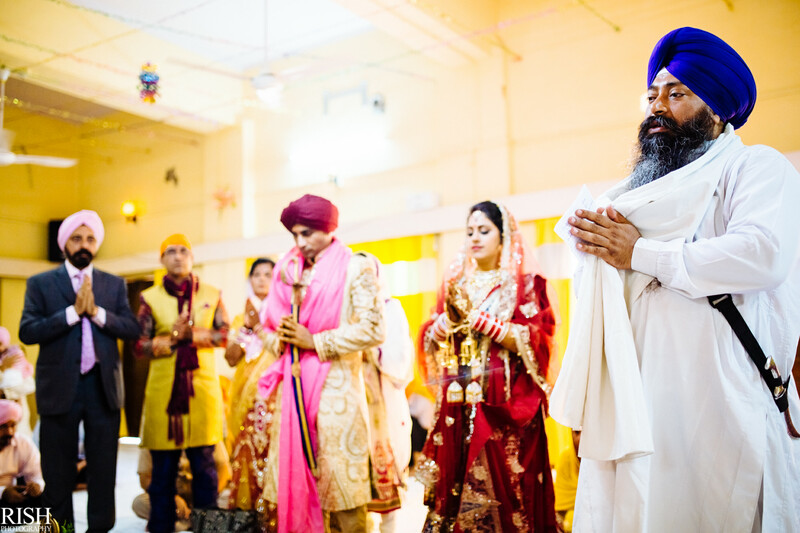 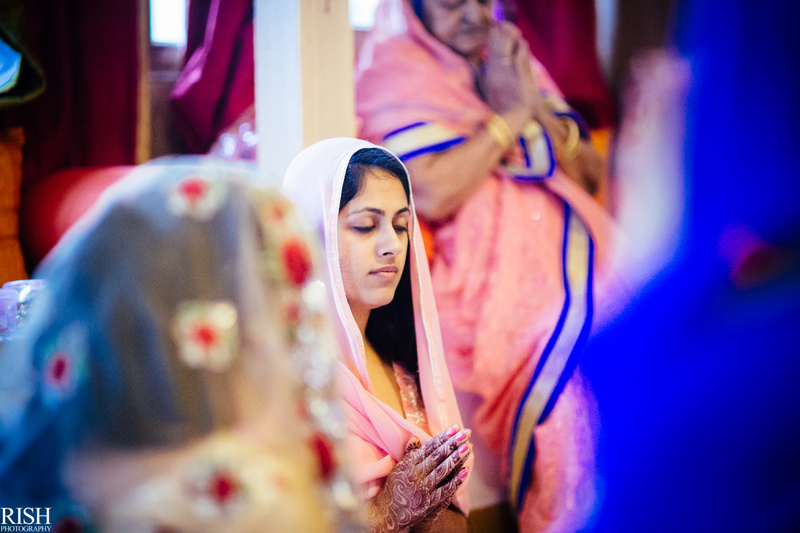 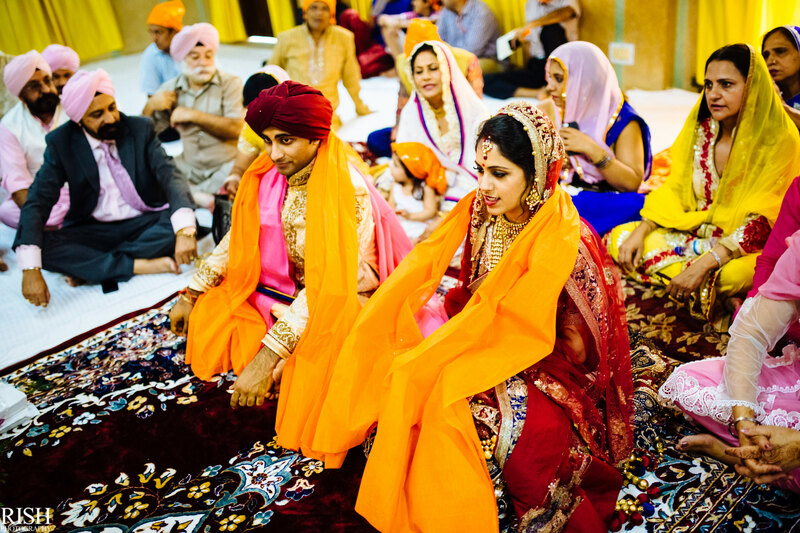 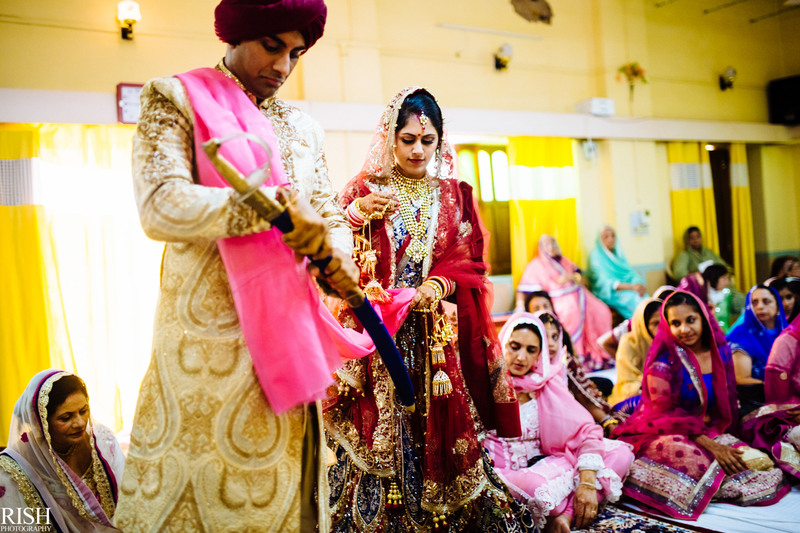 Soon after the commencement of Hindu wedding ceremony, everyone was headed to the Gurdwarafor their Sikh tradition wedding. 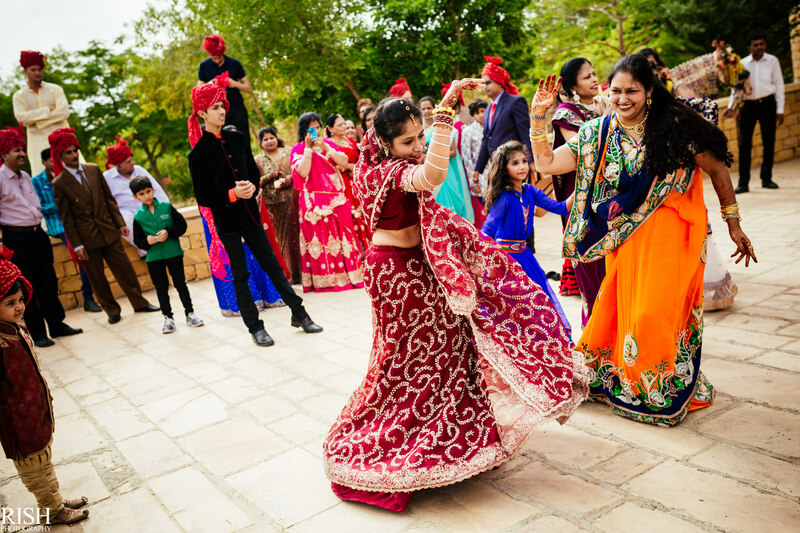 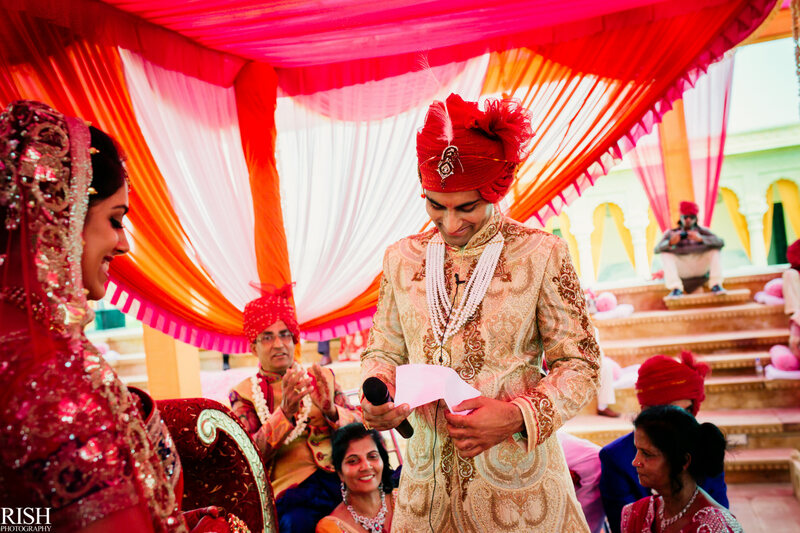 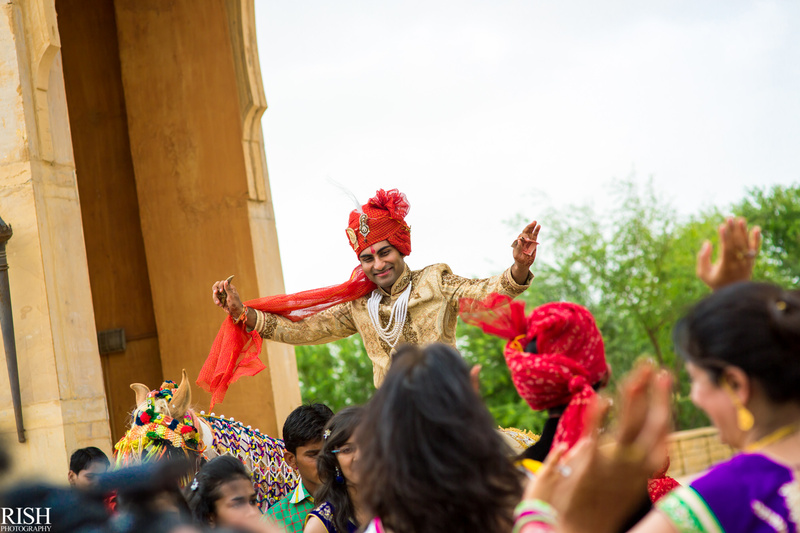 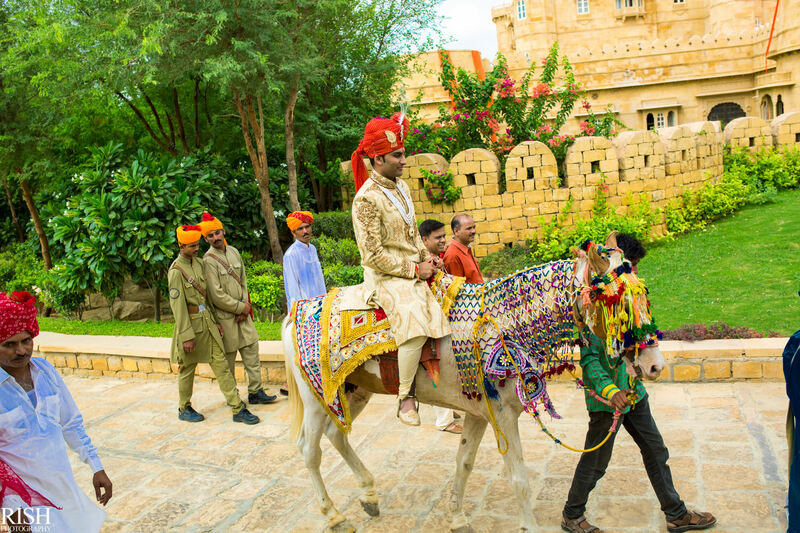 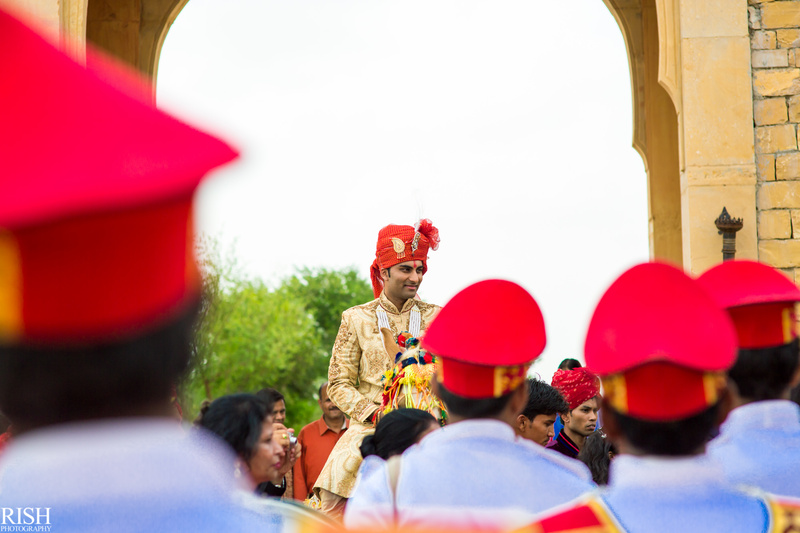 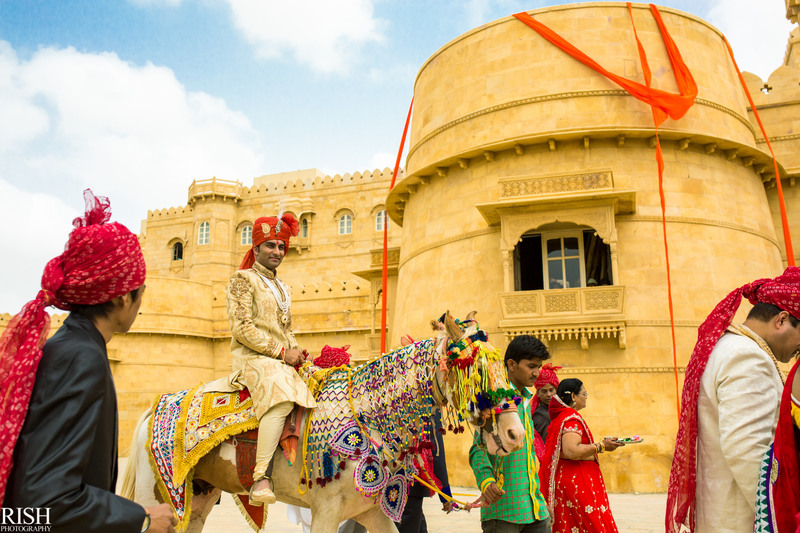 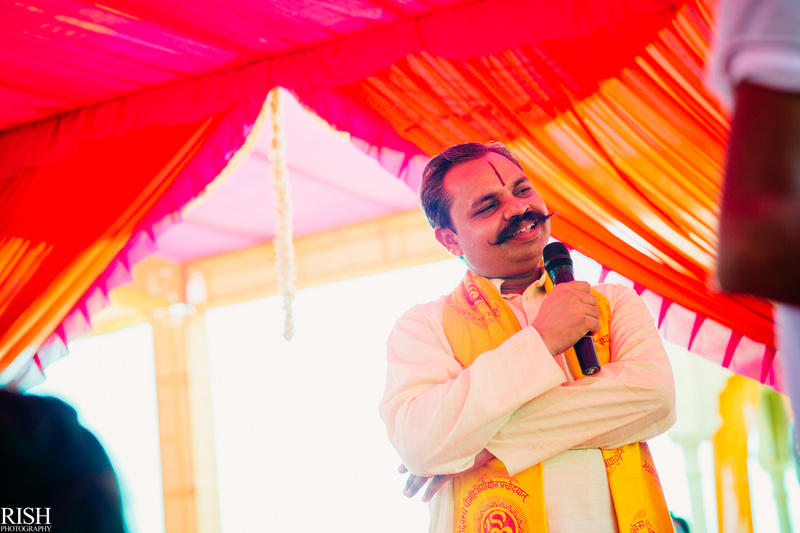 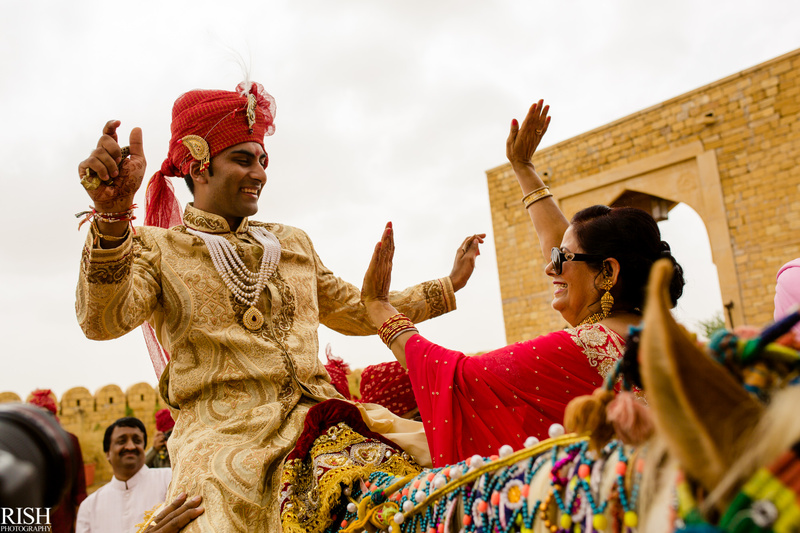 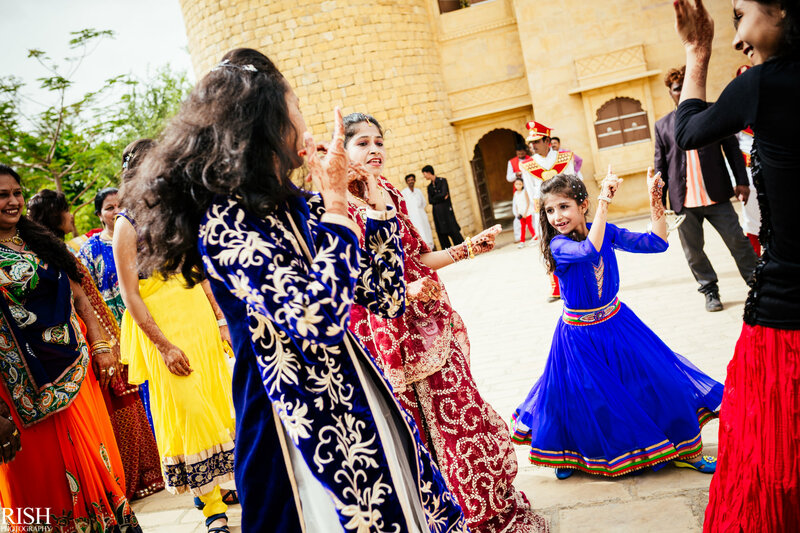 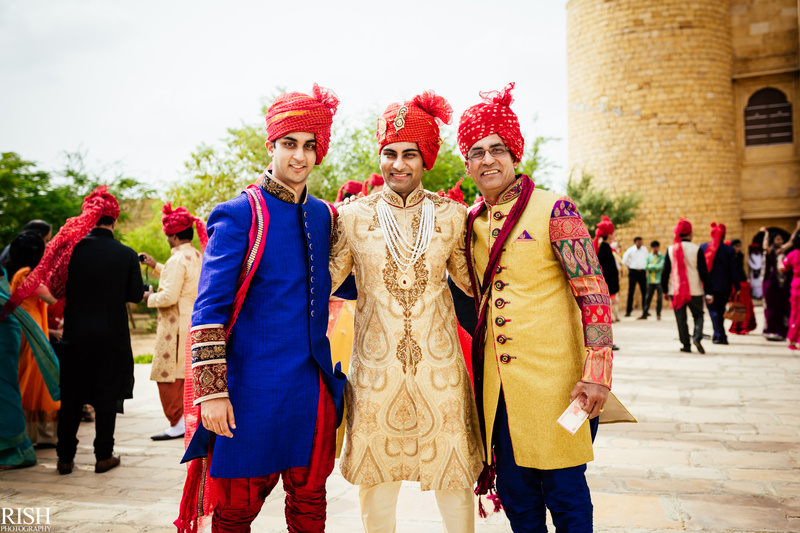 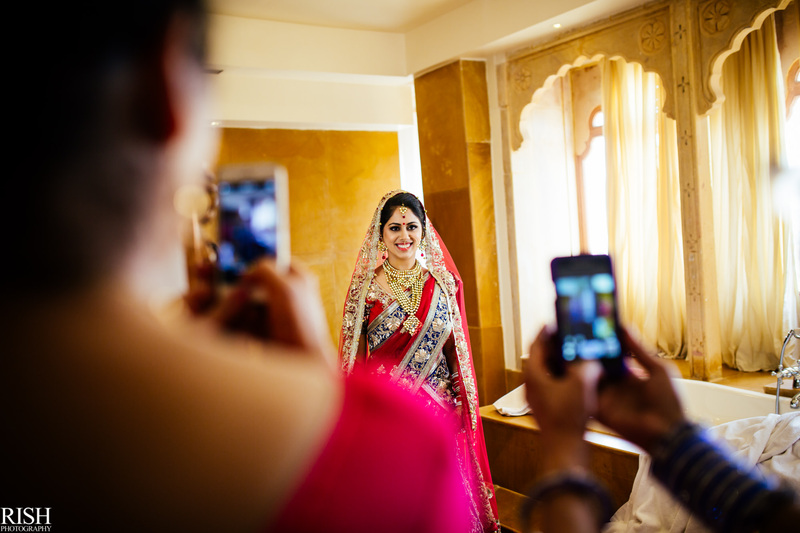 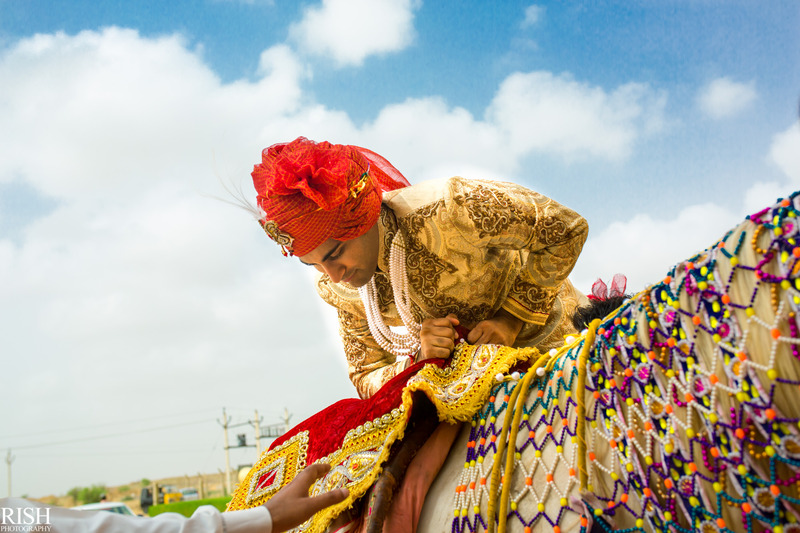 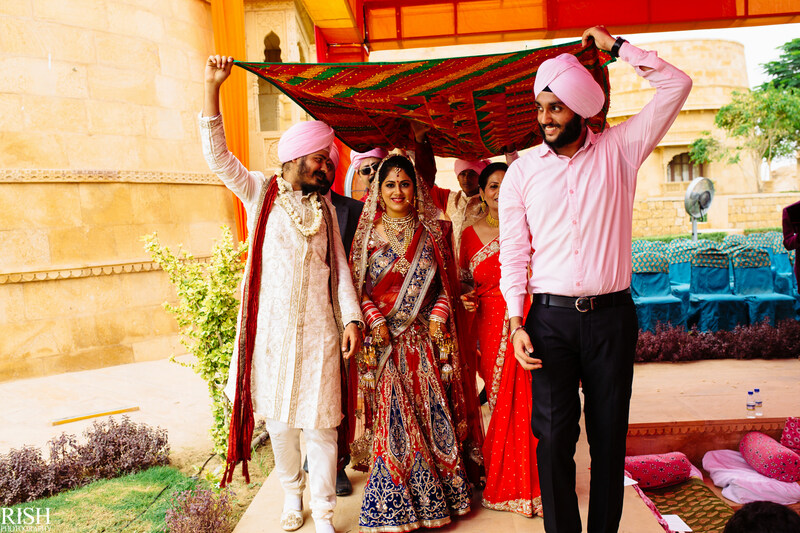 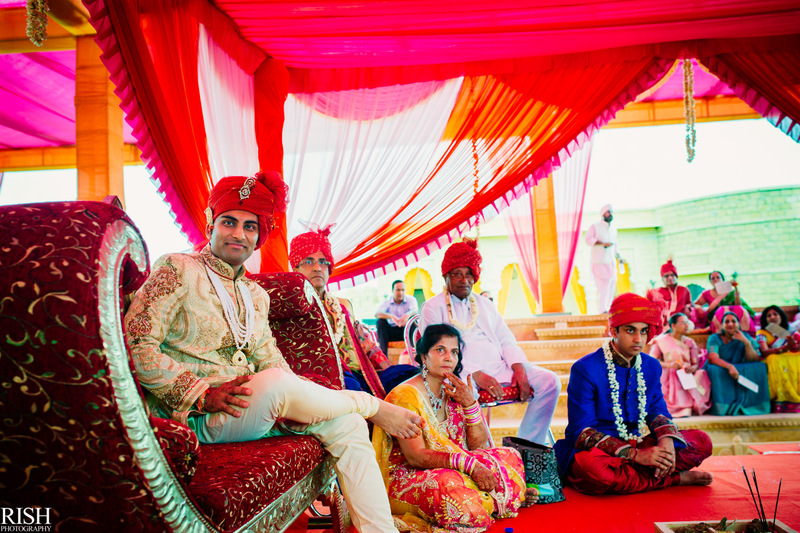 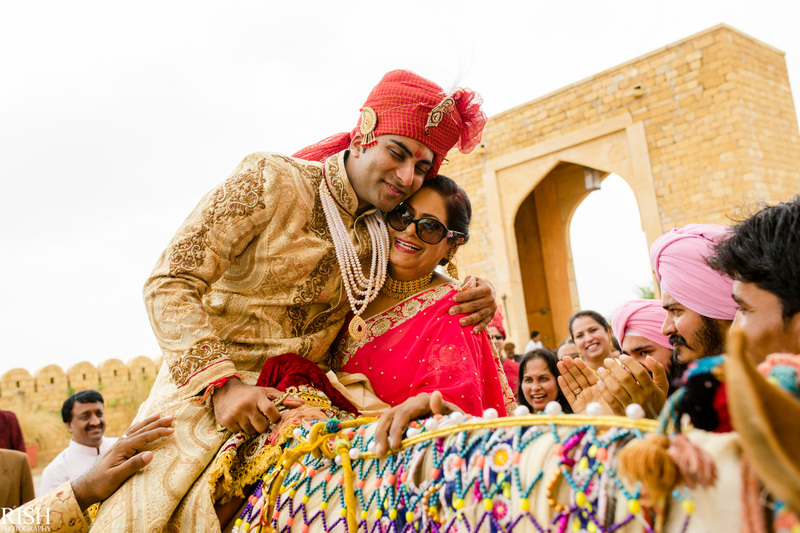 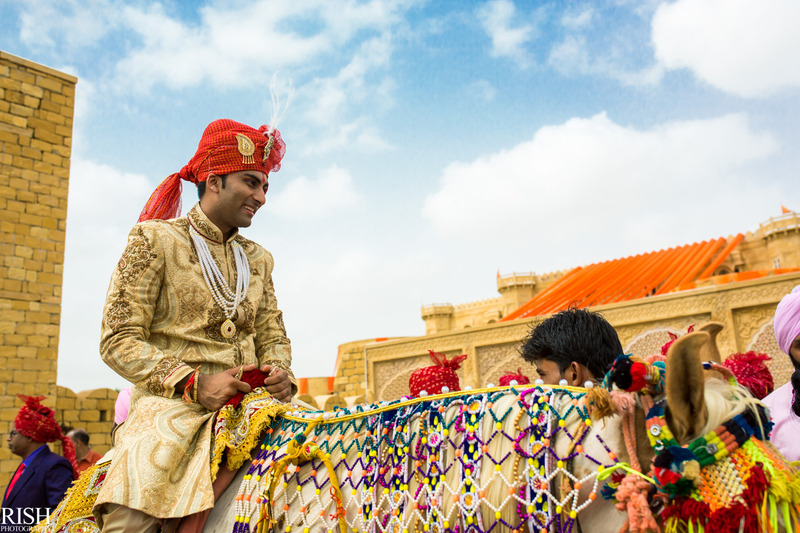 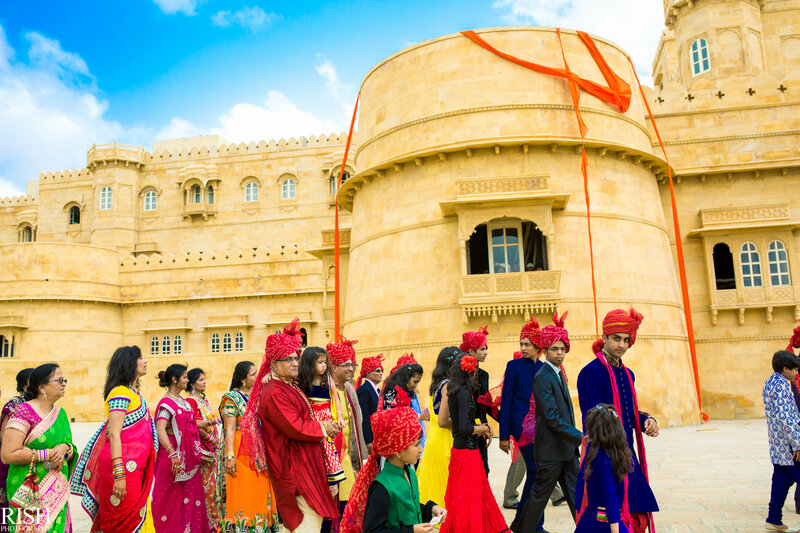 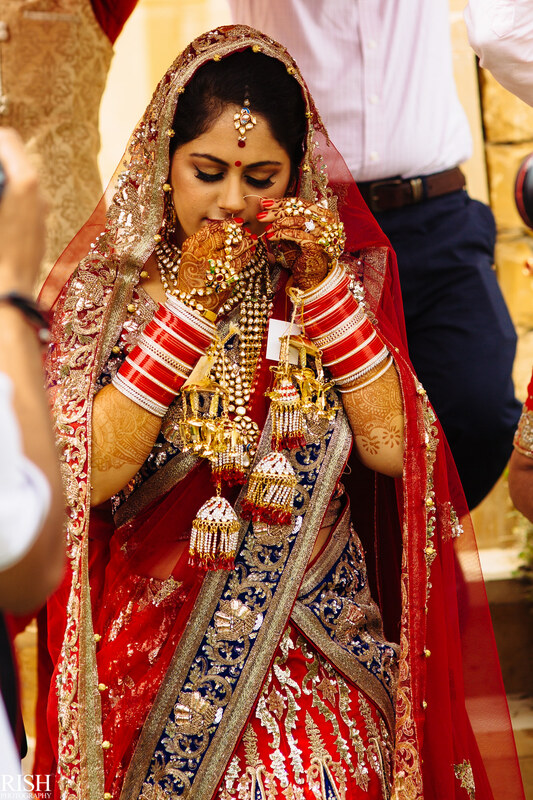 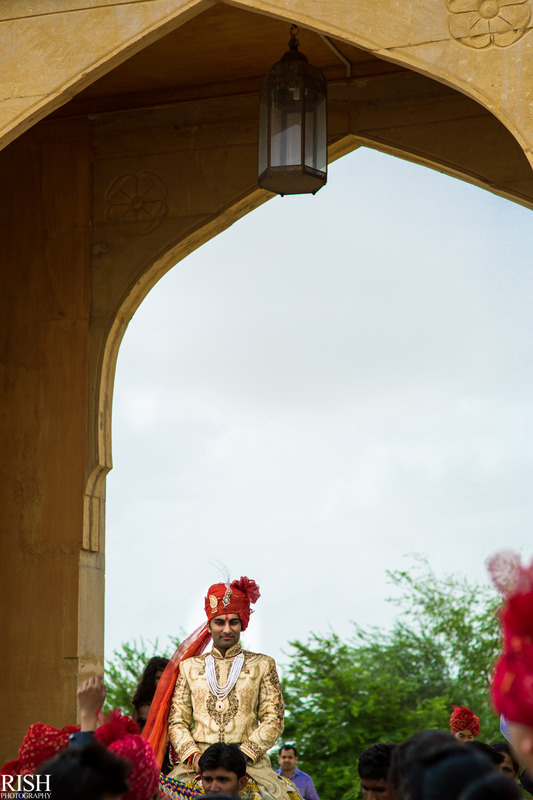 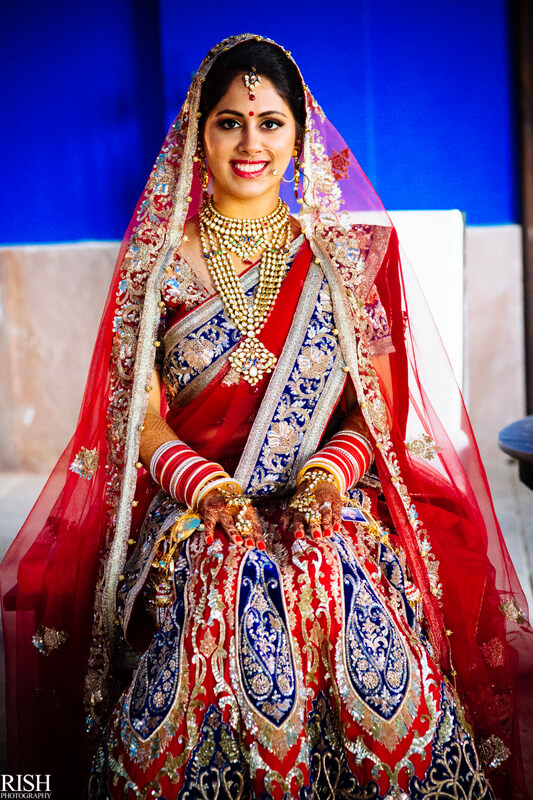 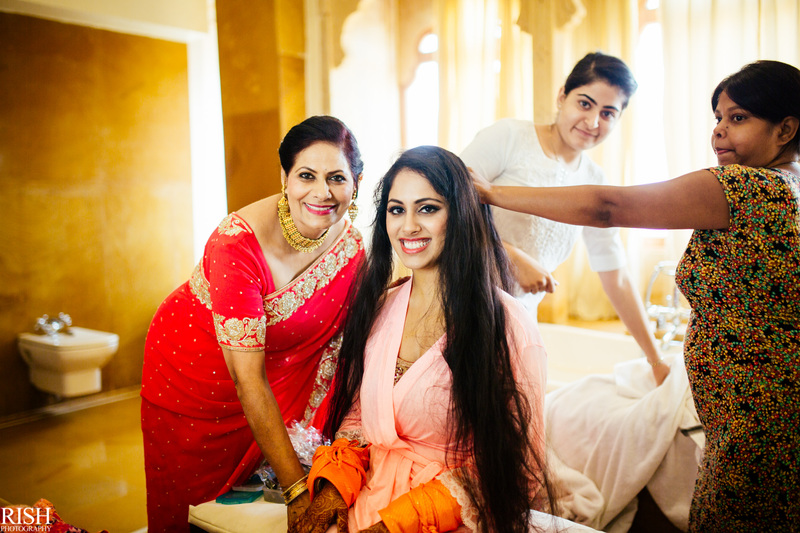 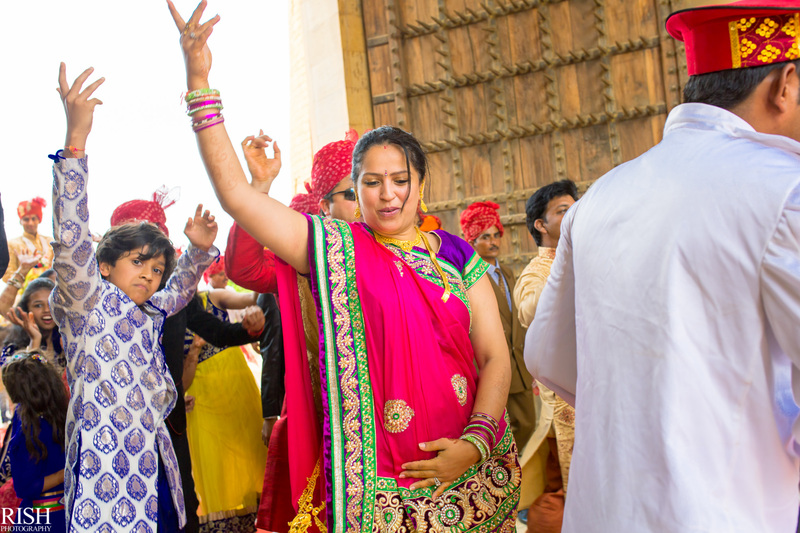 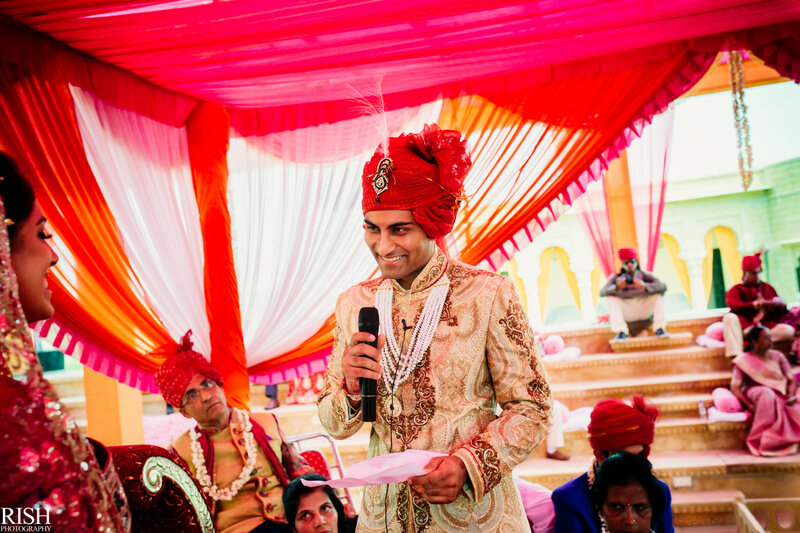 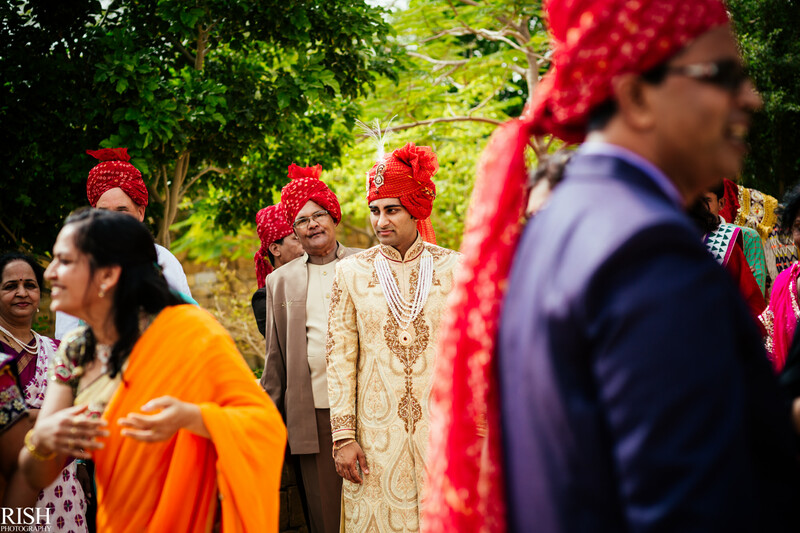 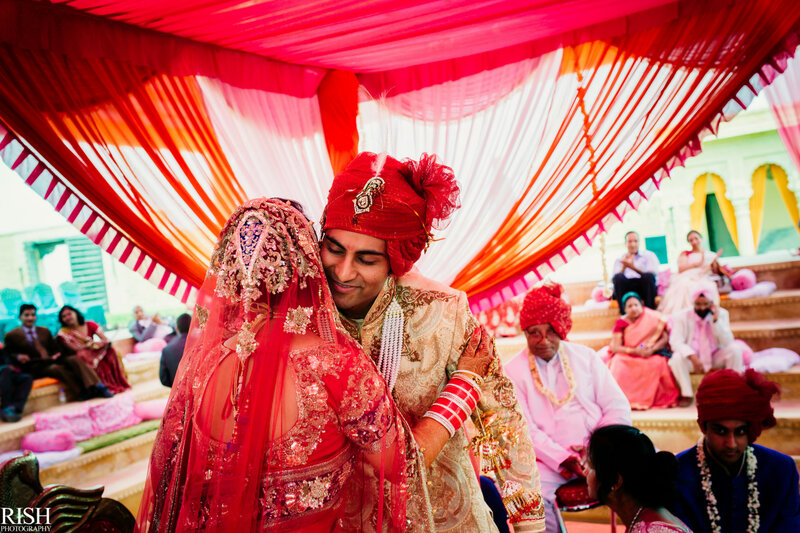 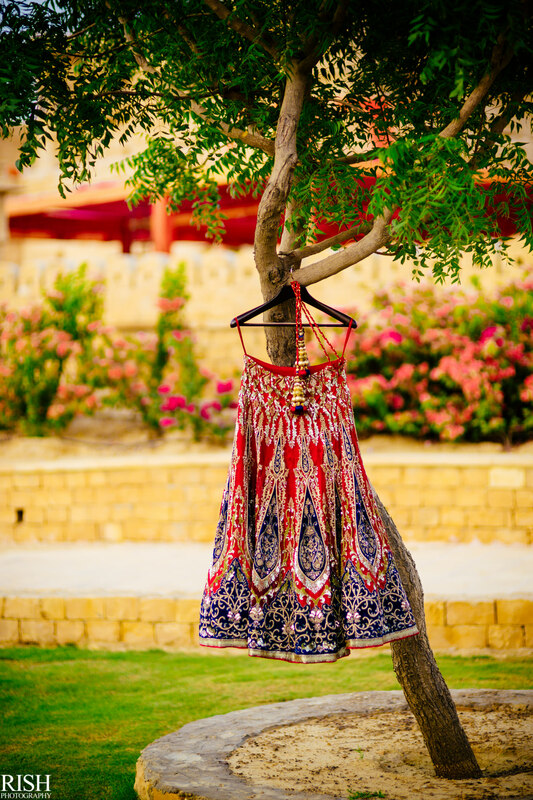 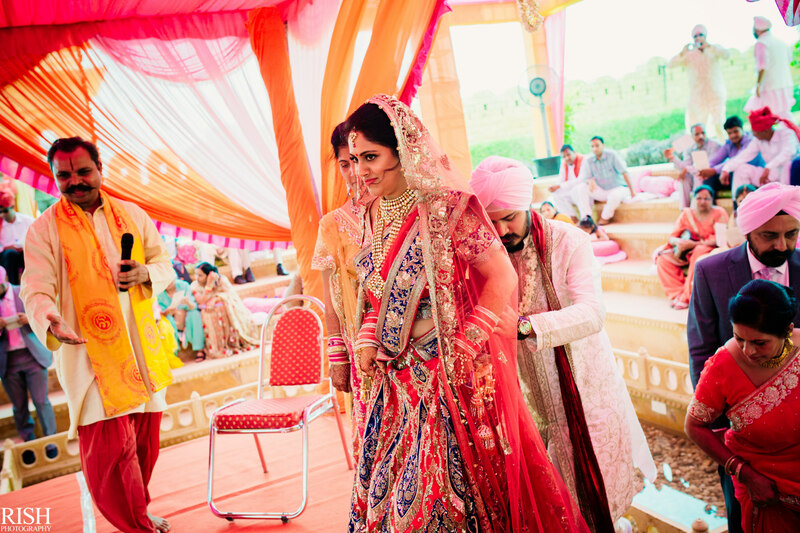 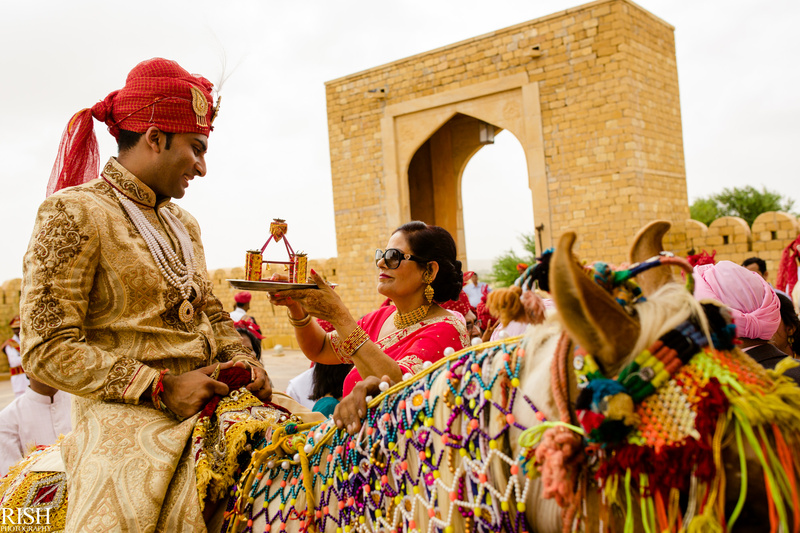 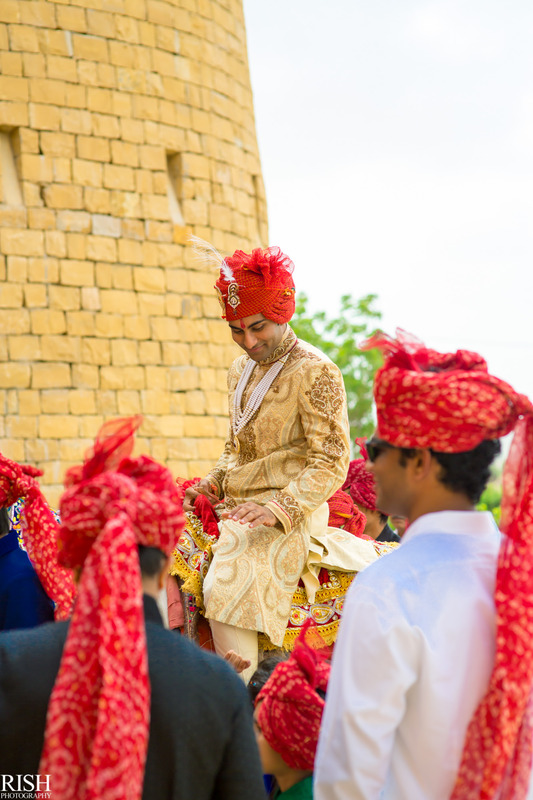 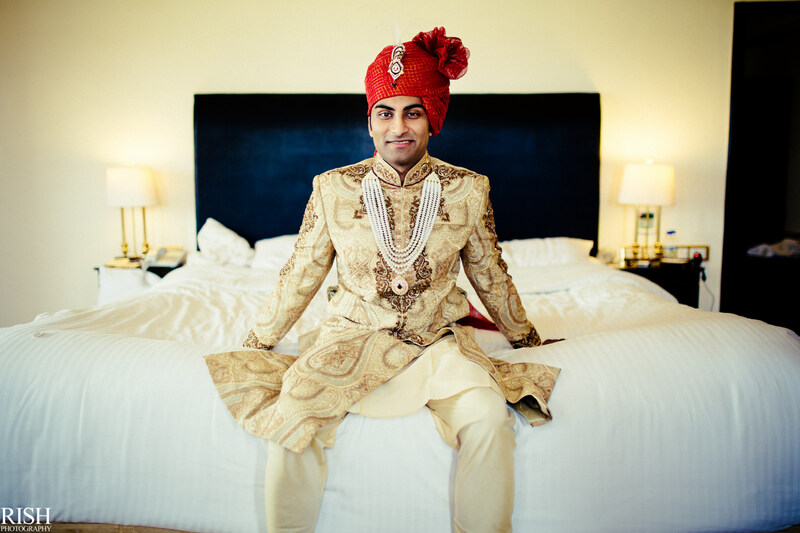 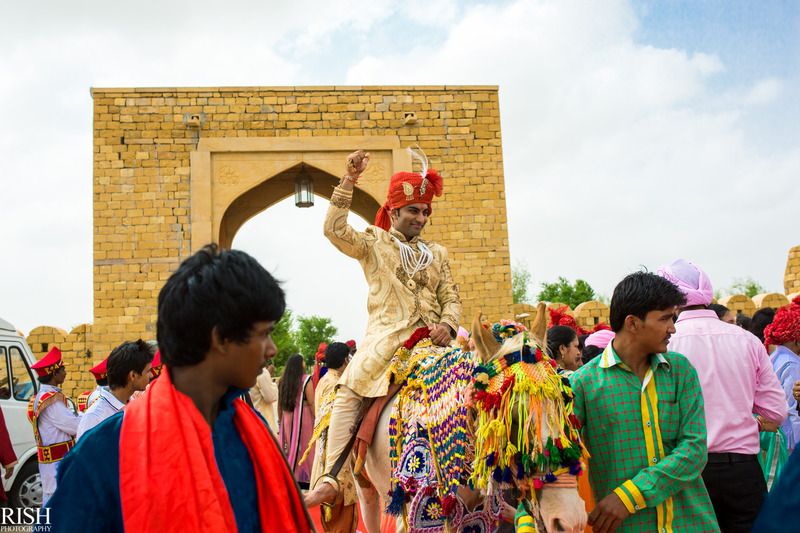 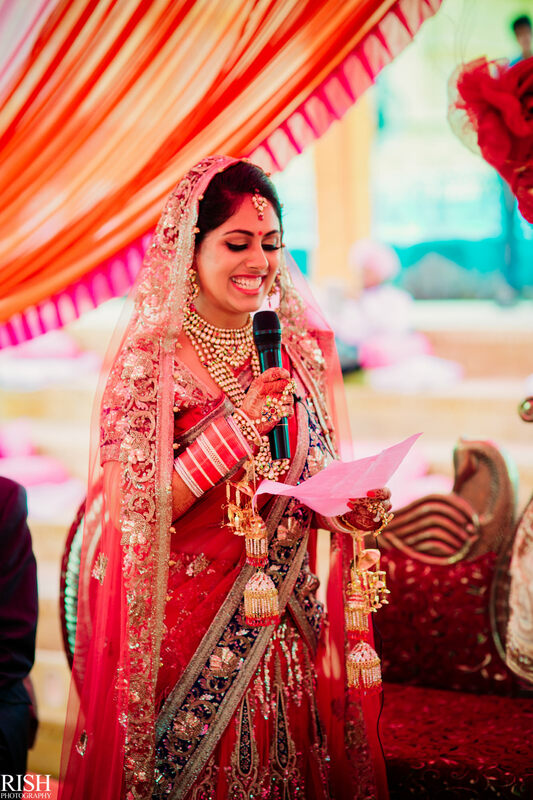 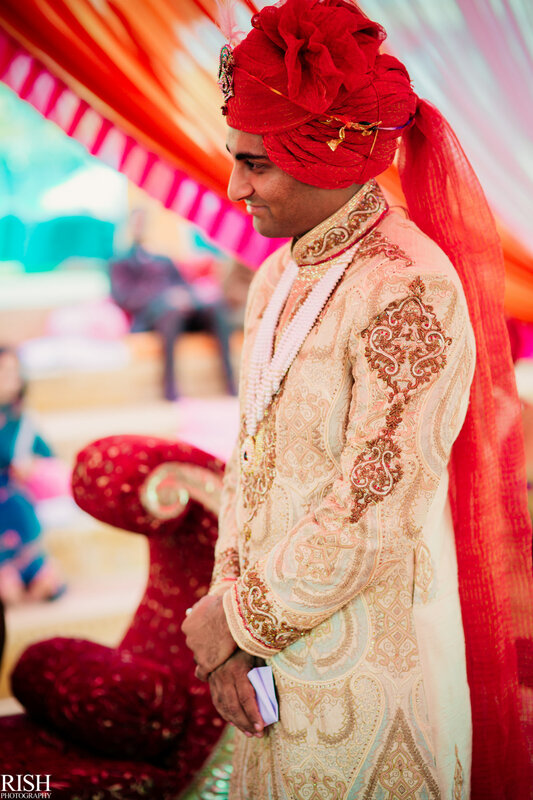 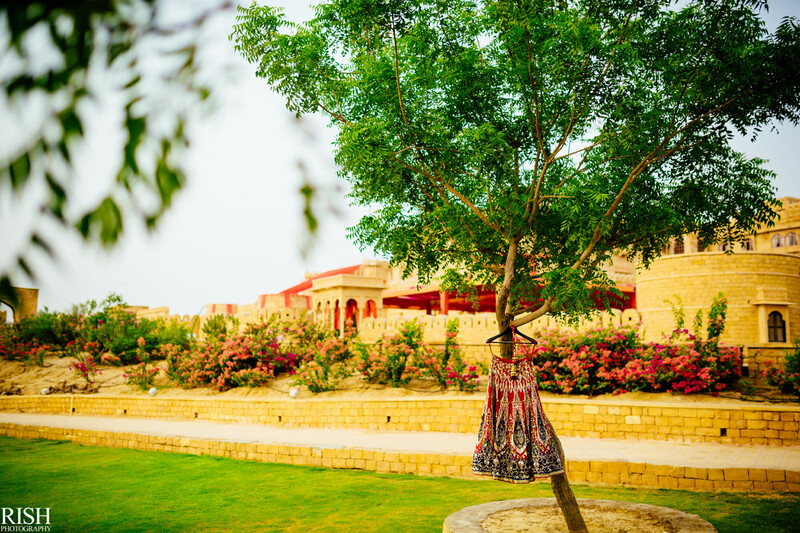 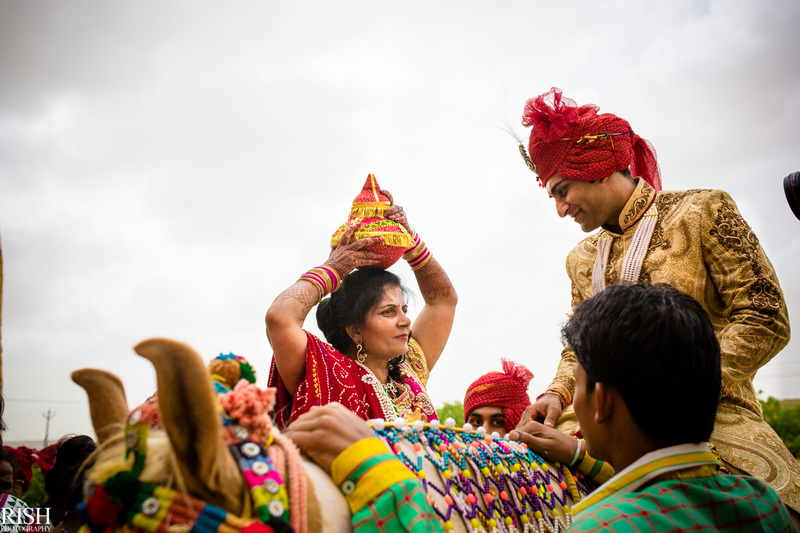 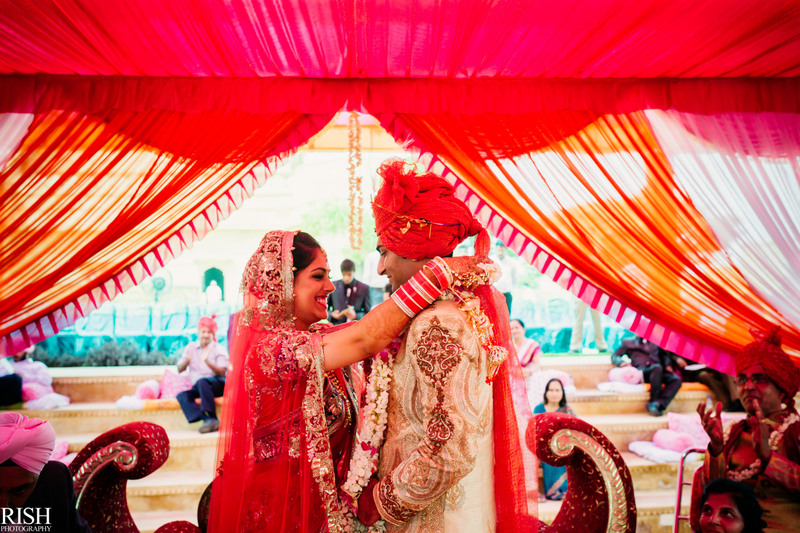 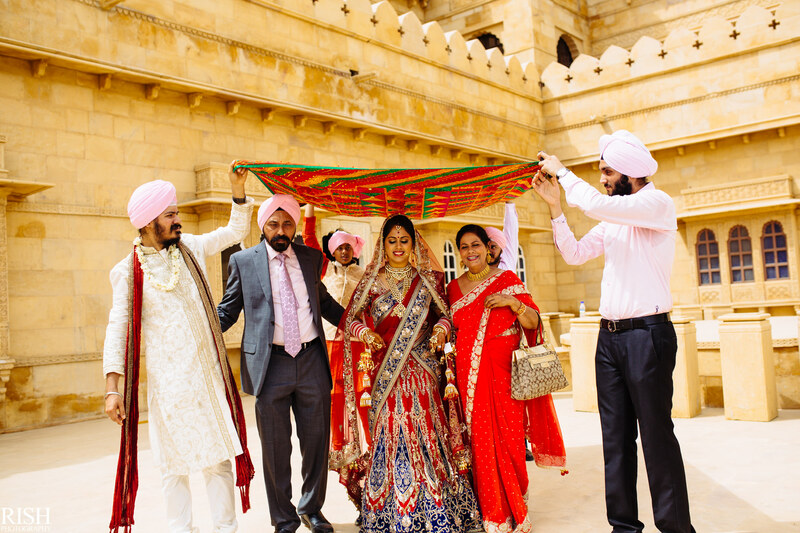 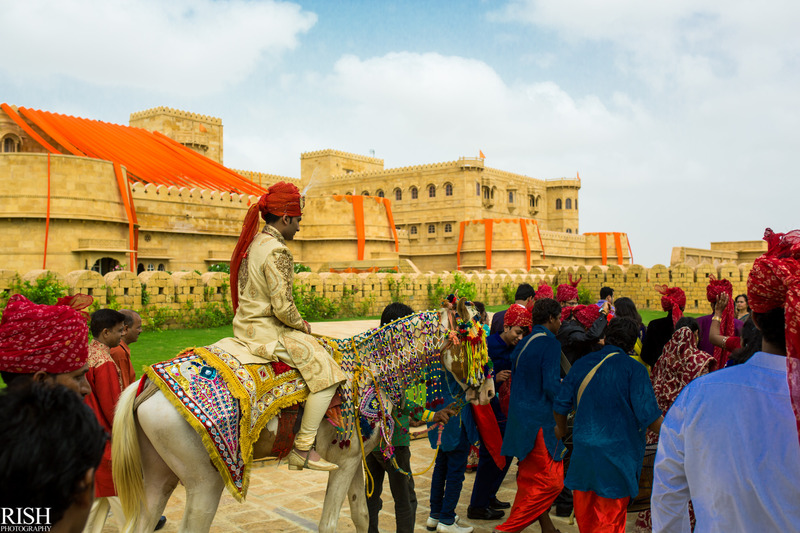 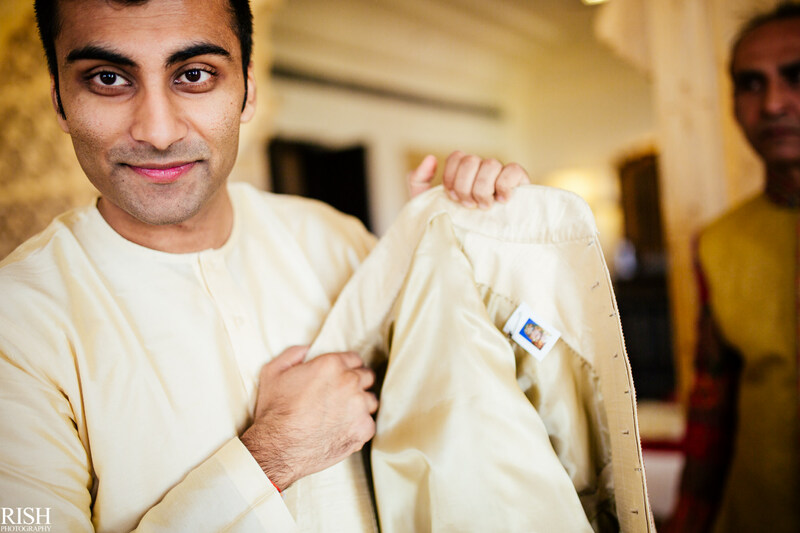 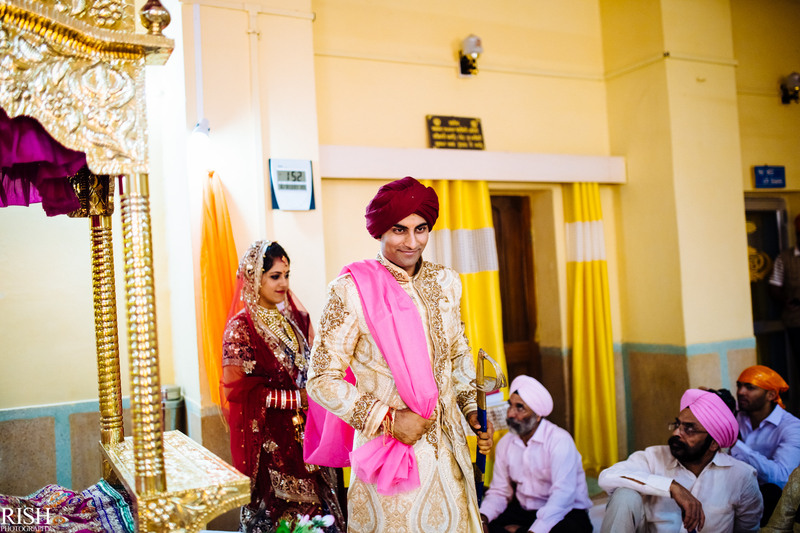 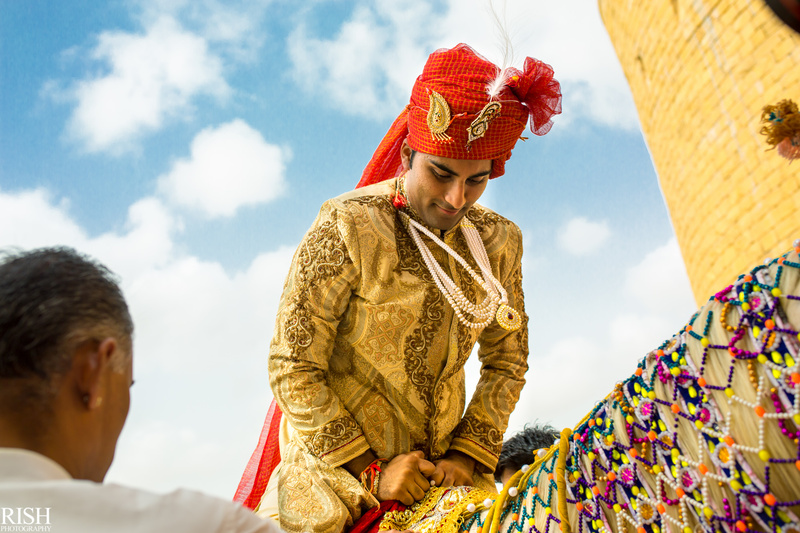 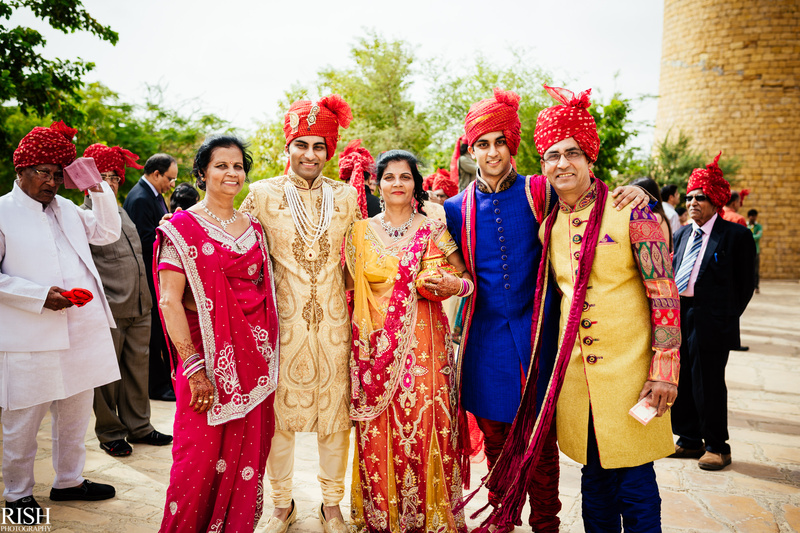 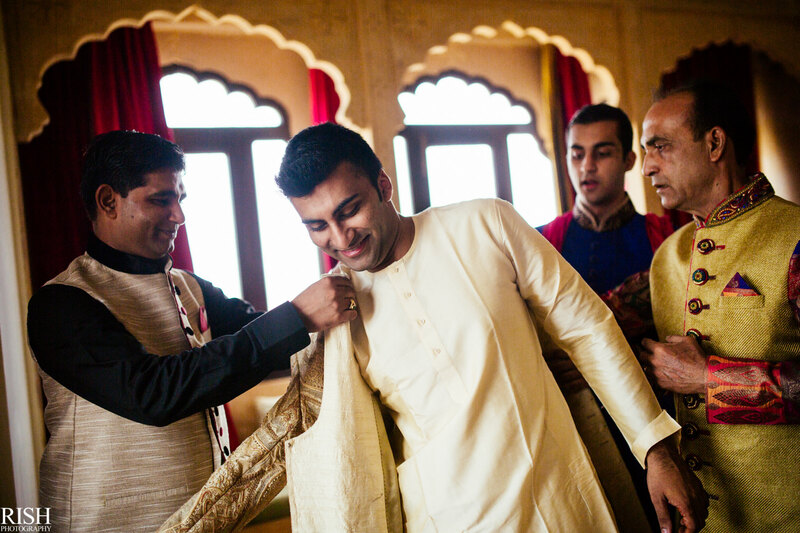 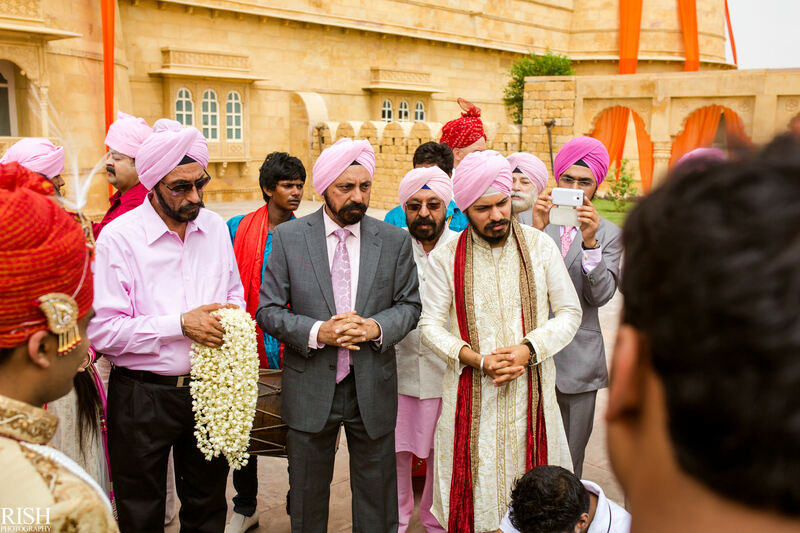 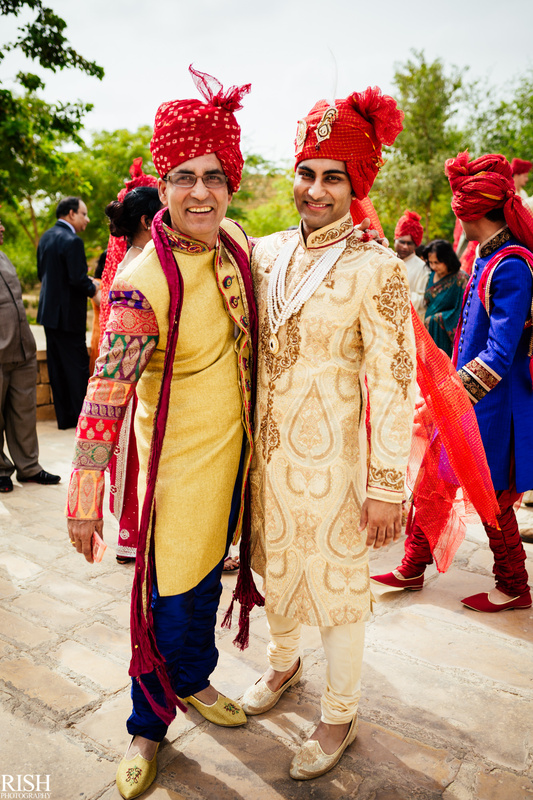 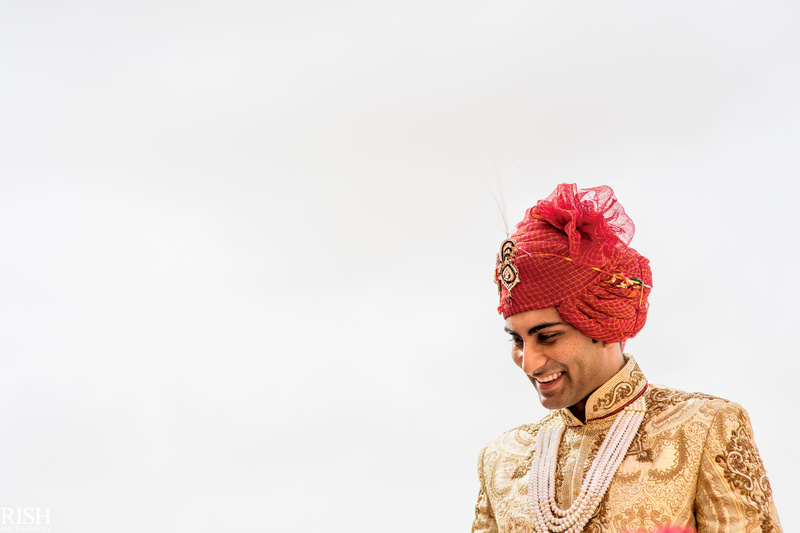 And that was Jasmin & Mayank’s beautiful, fun & amazing destination wedding in Jaisalmer, India. 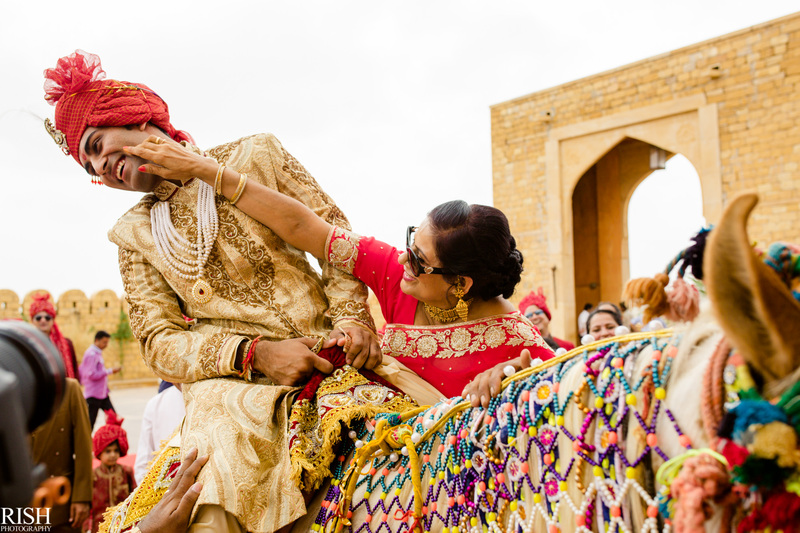 It wasn’t just a wedding. 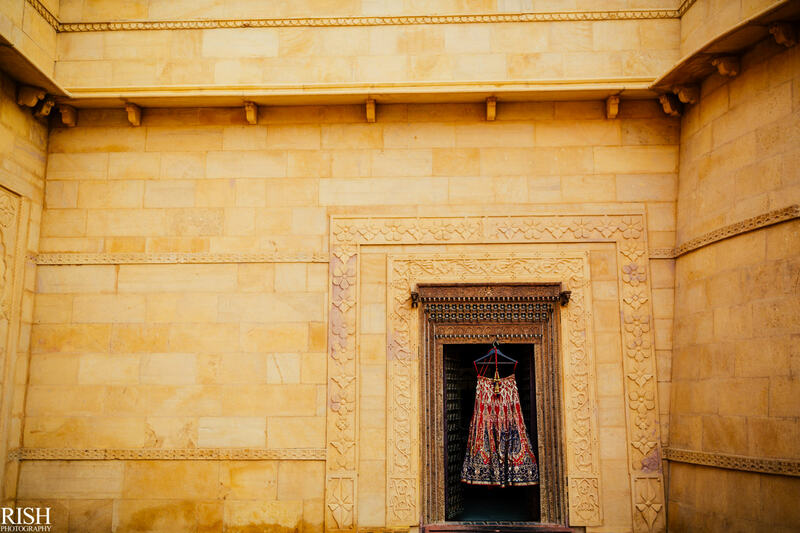 It was an experience in itself.